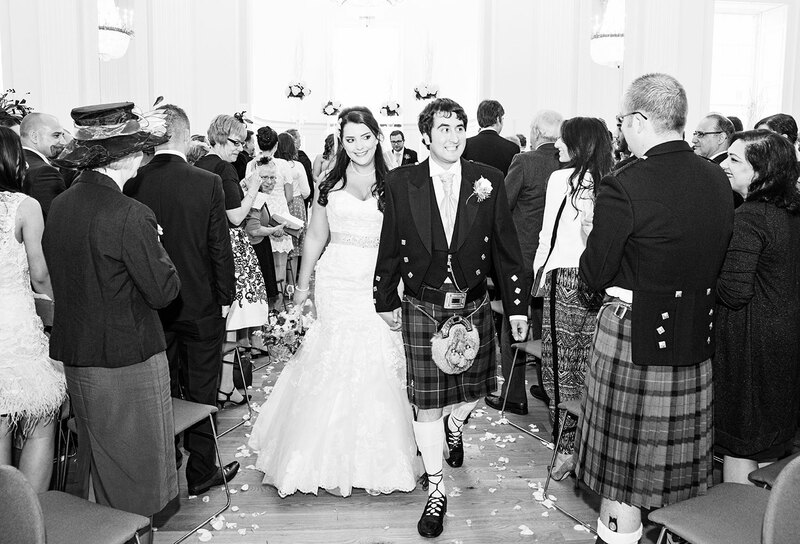 Wow, what a wedding!! 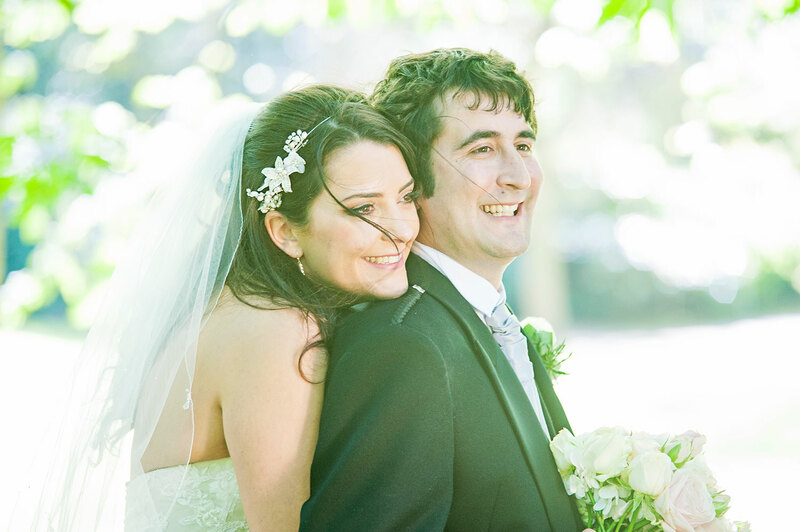 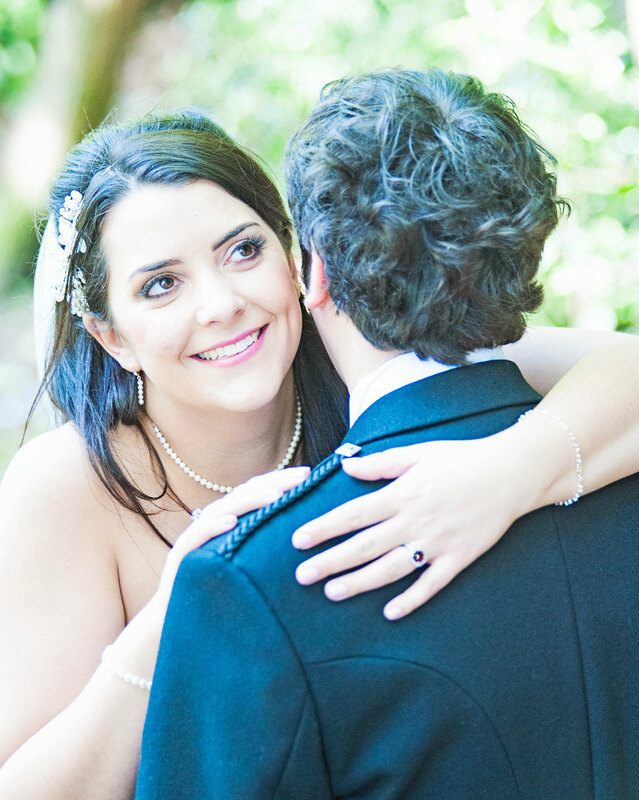 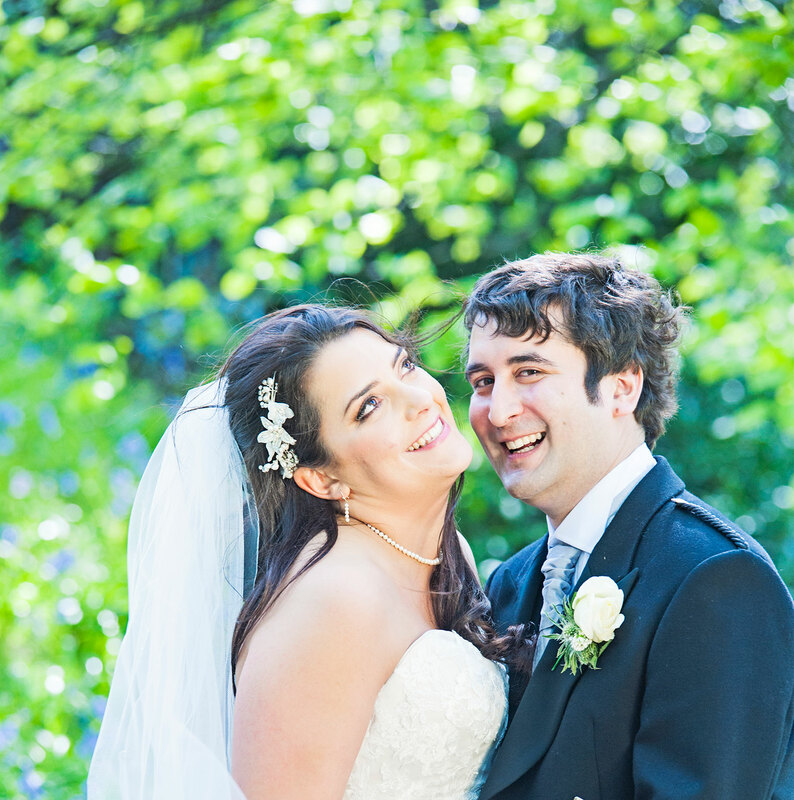 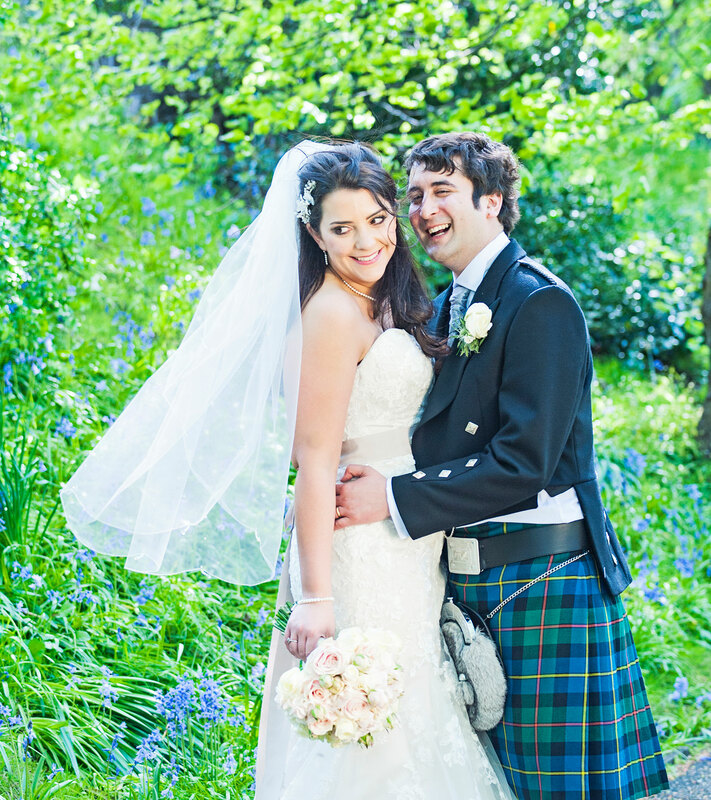 Aimee and Nick are such a lovely couple and always full of laughter!! 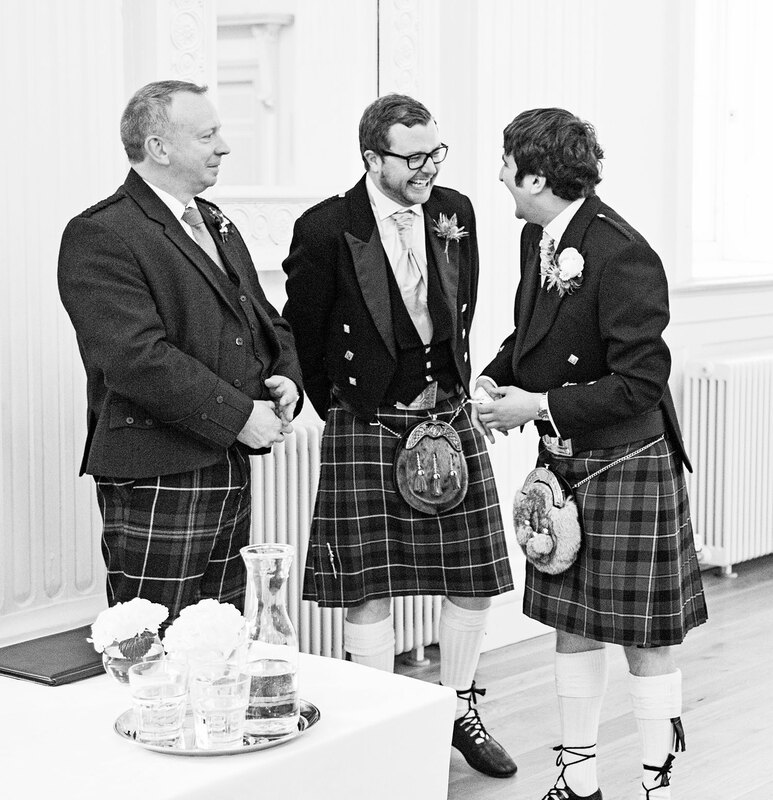 Always giggling. 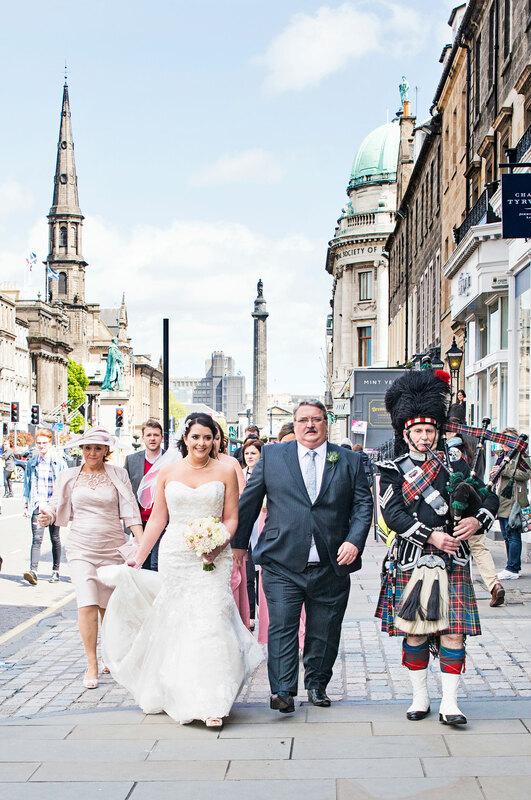 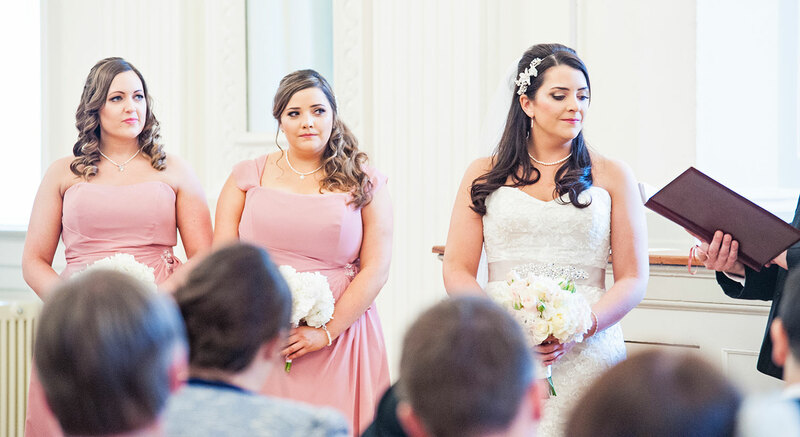 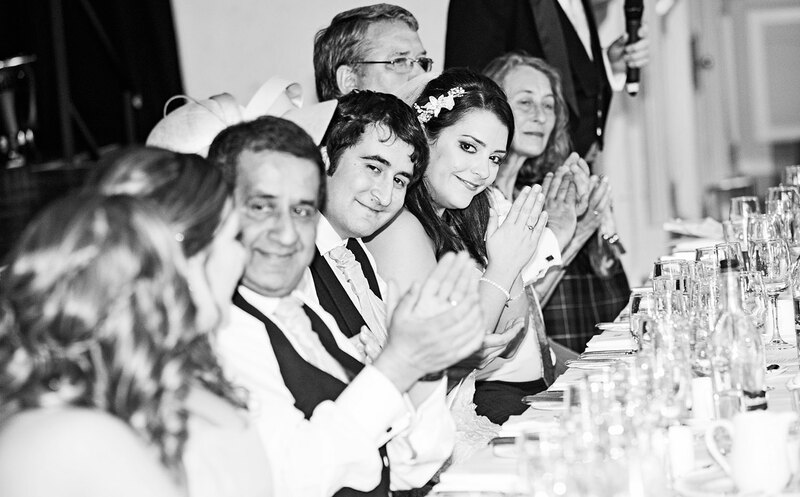 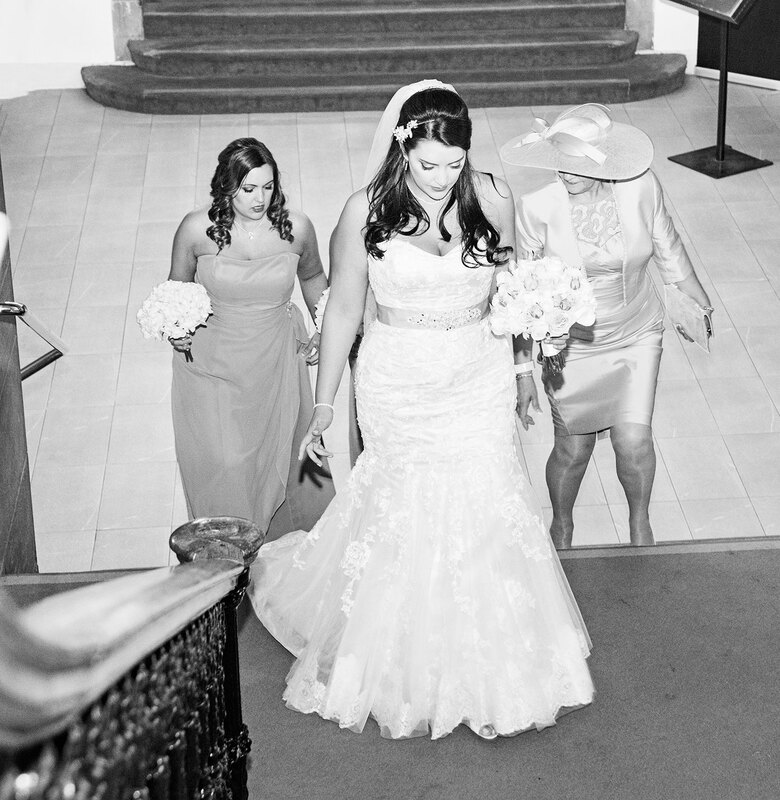 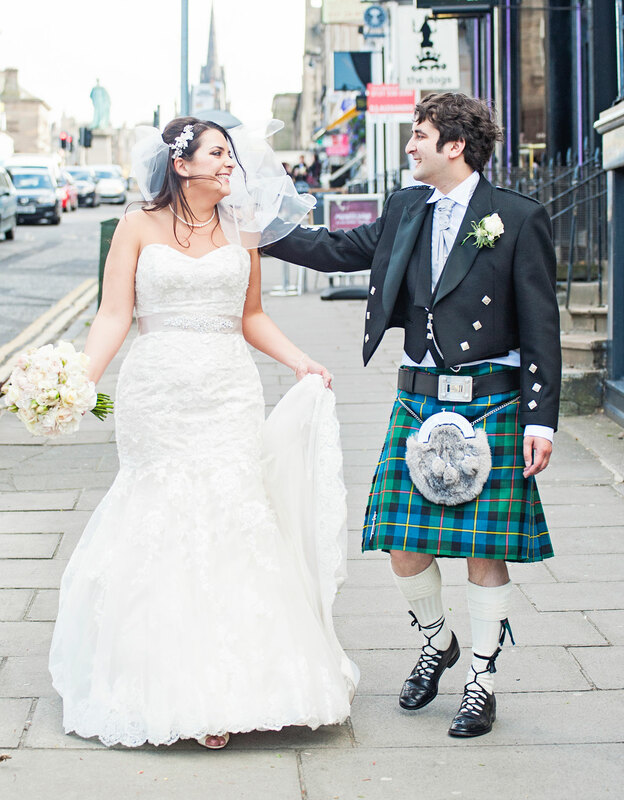 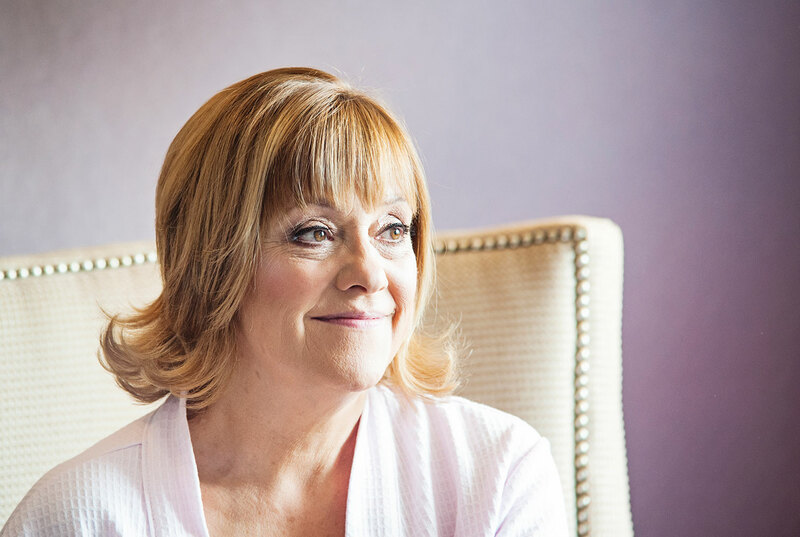 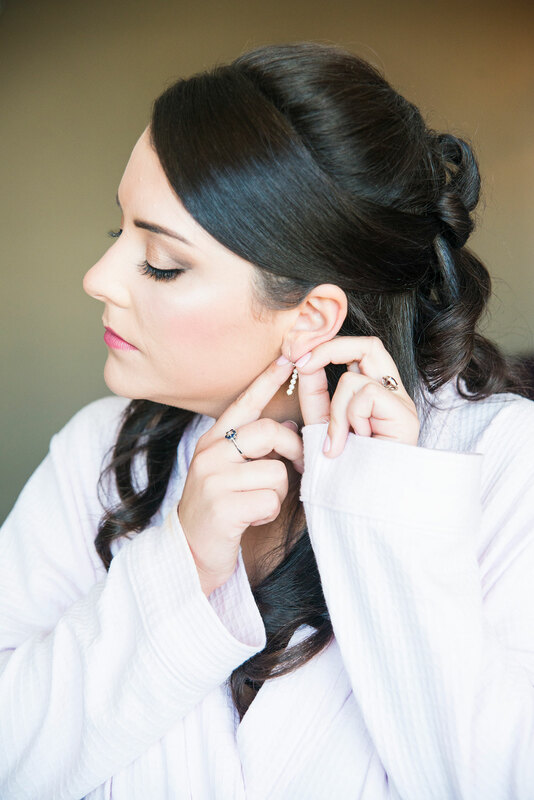 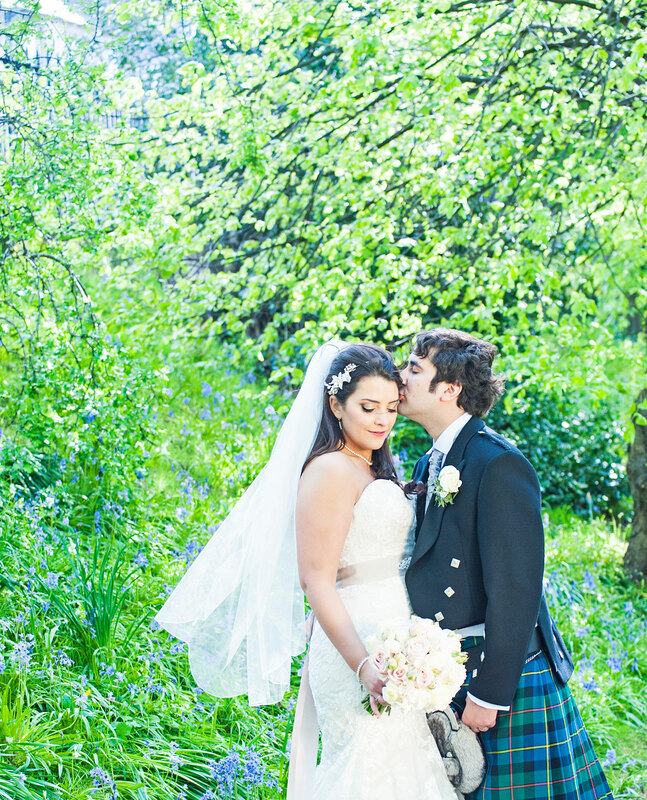 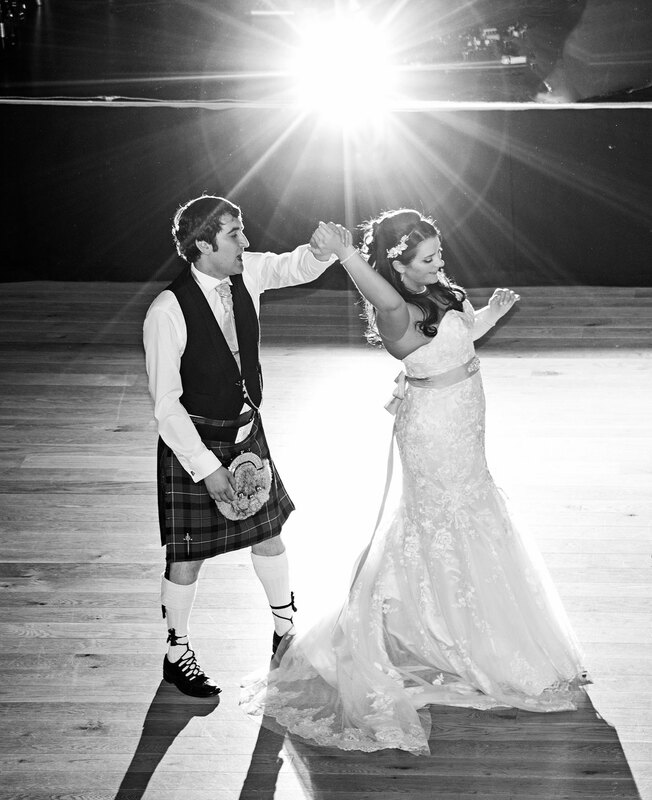 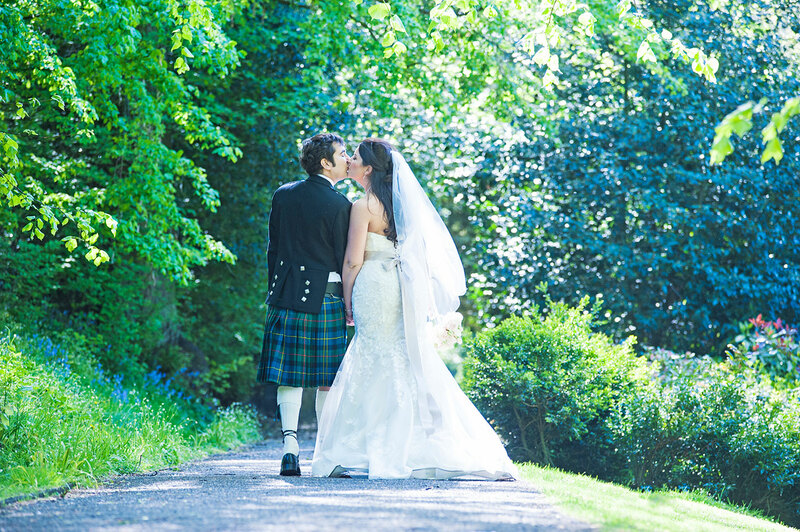 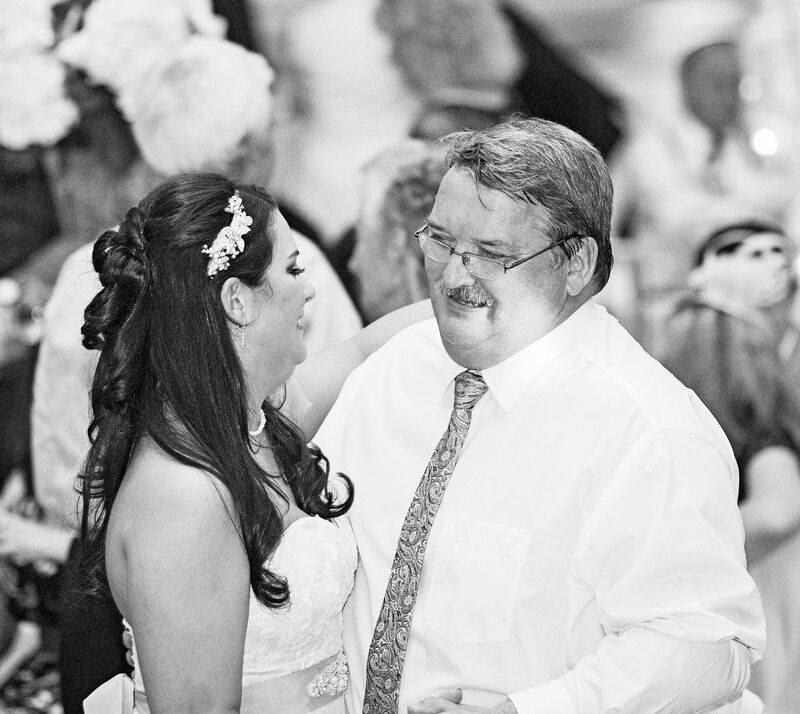 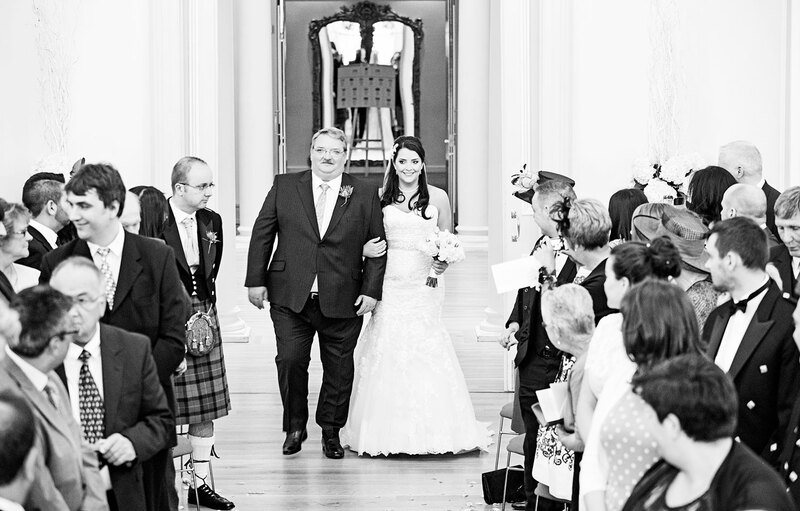 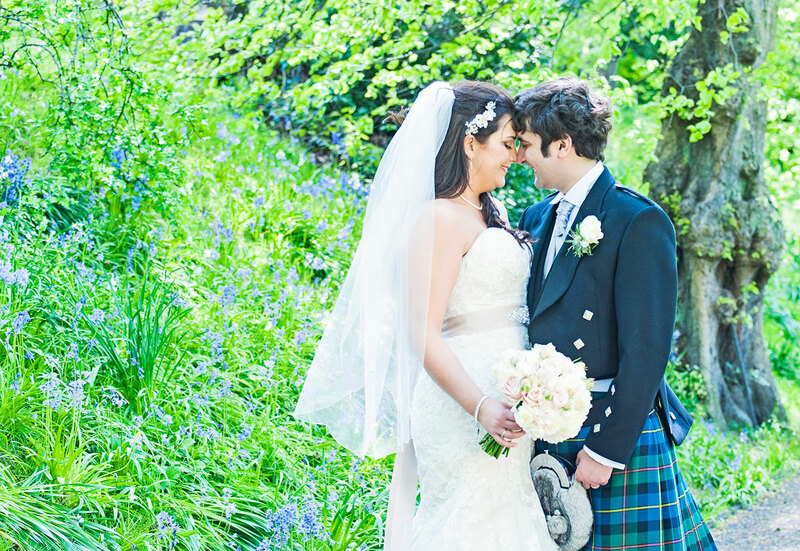 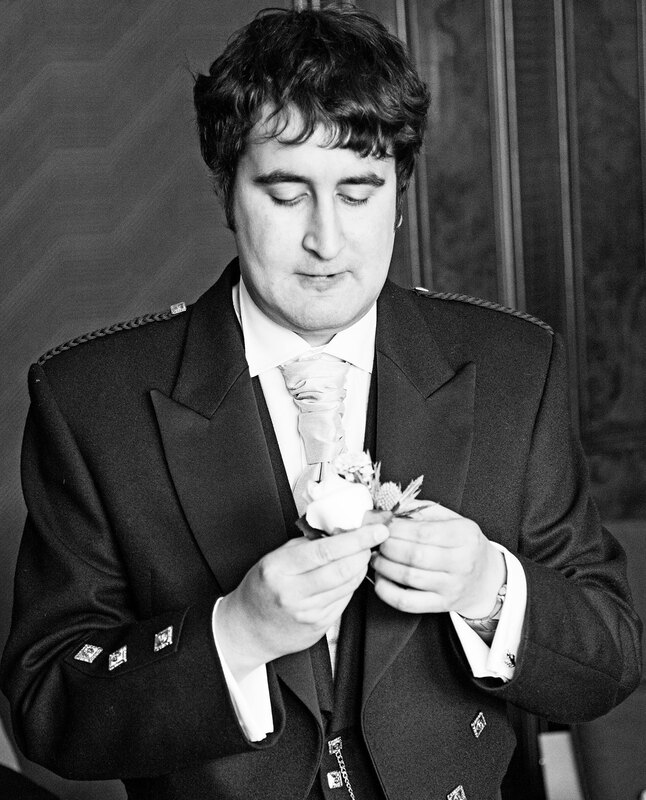 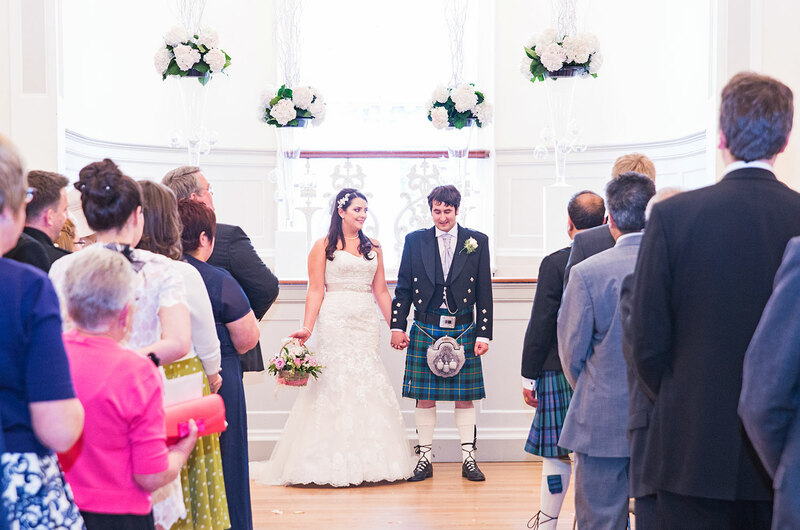 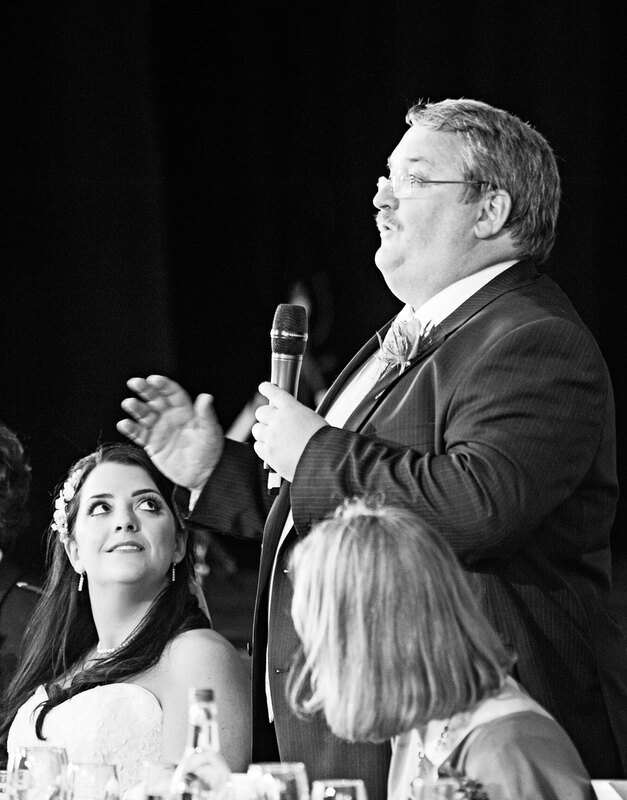 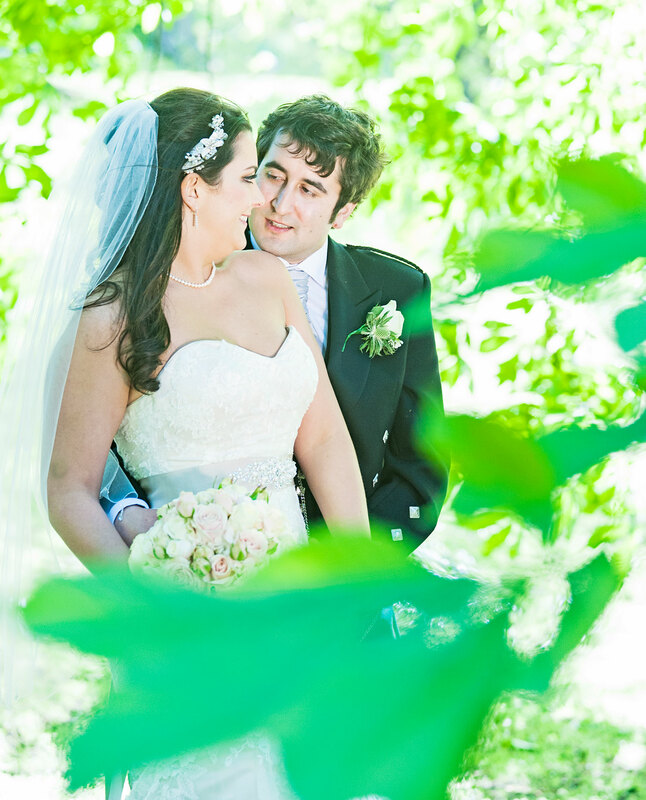 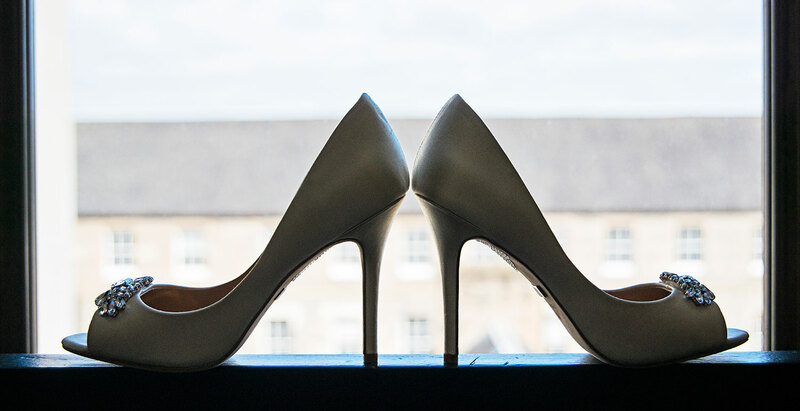 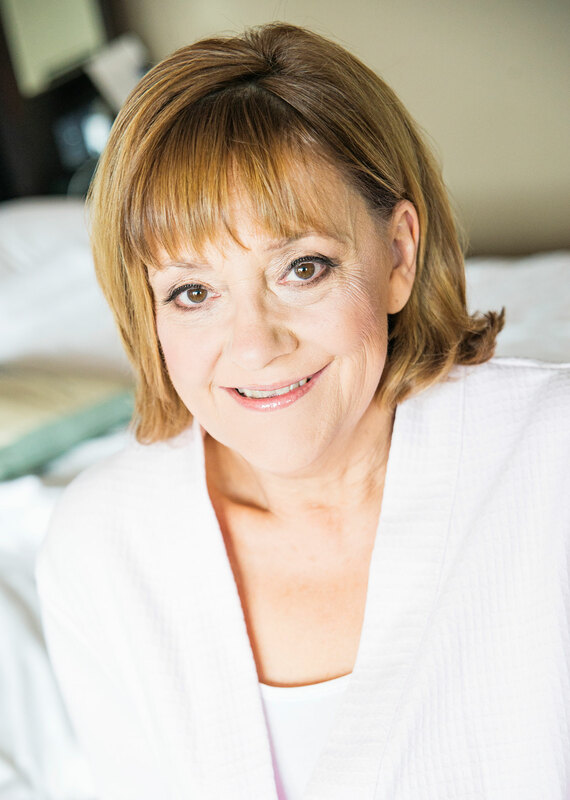 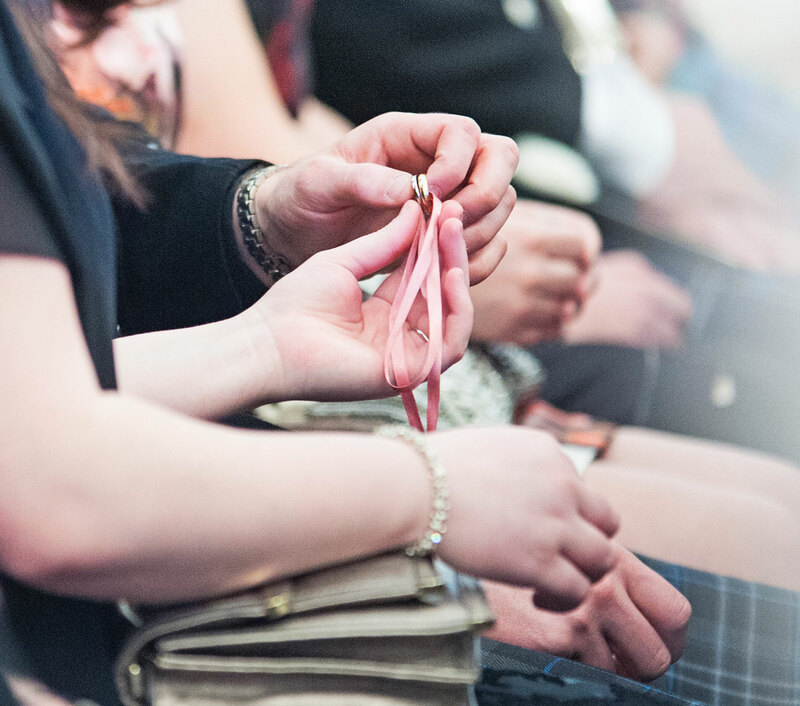 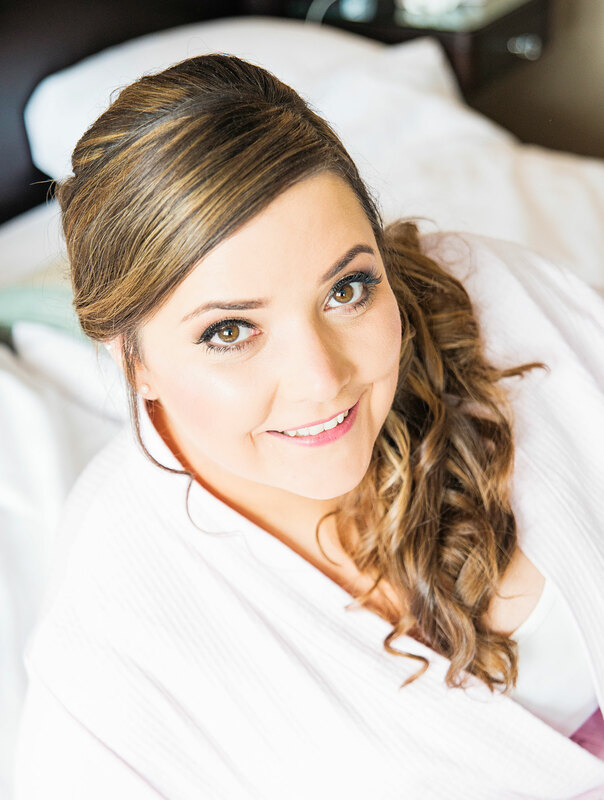 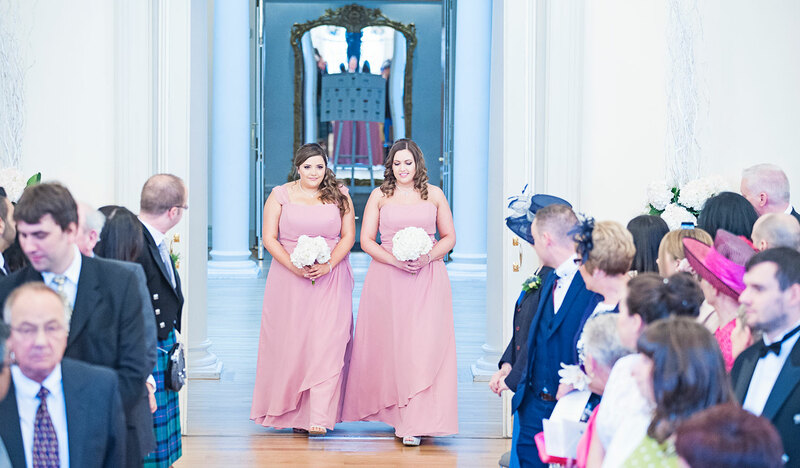 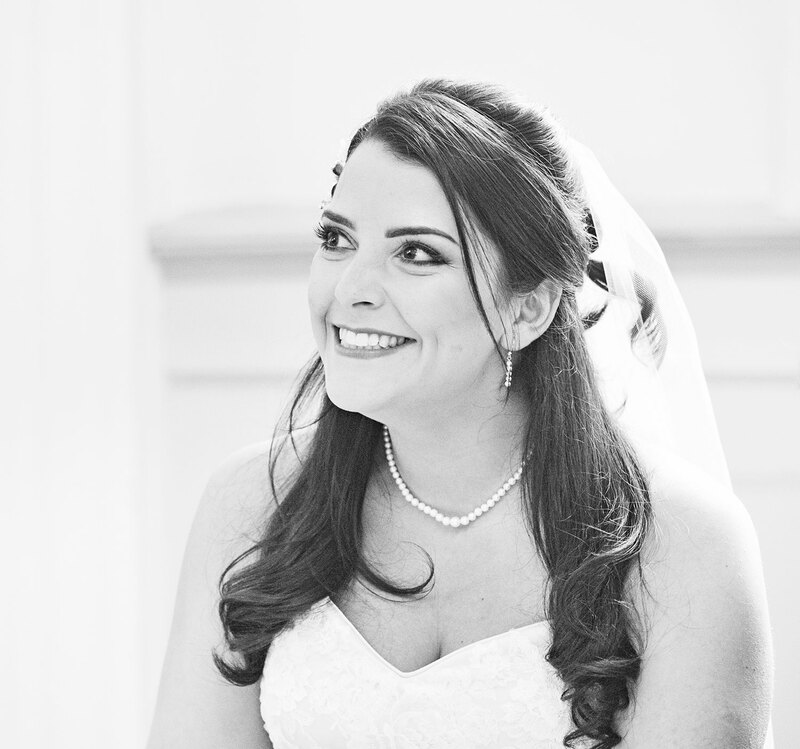 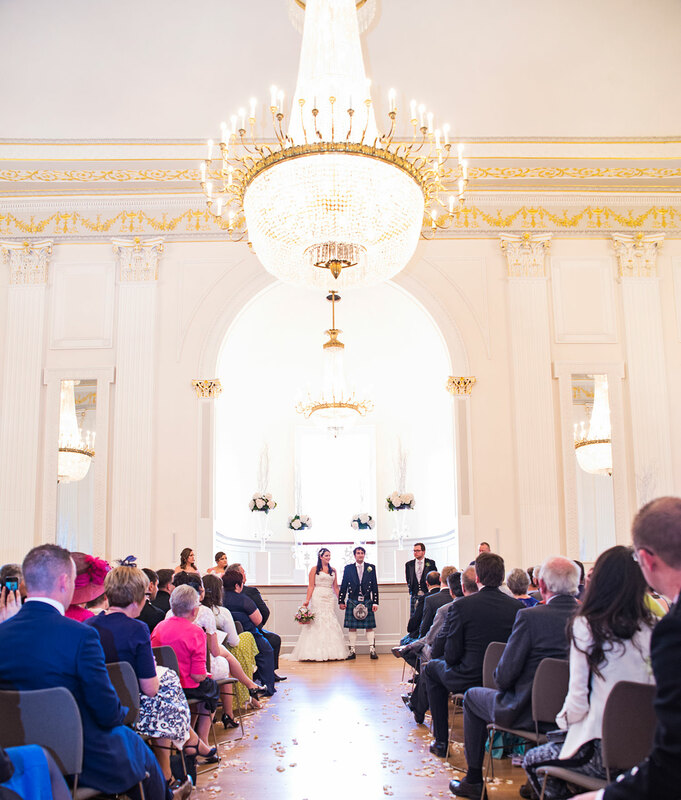 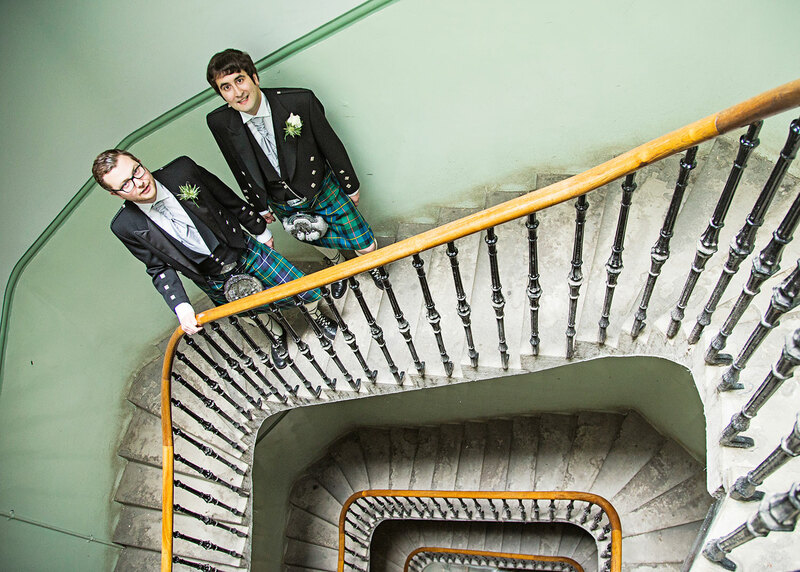 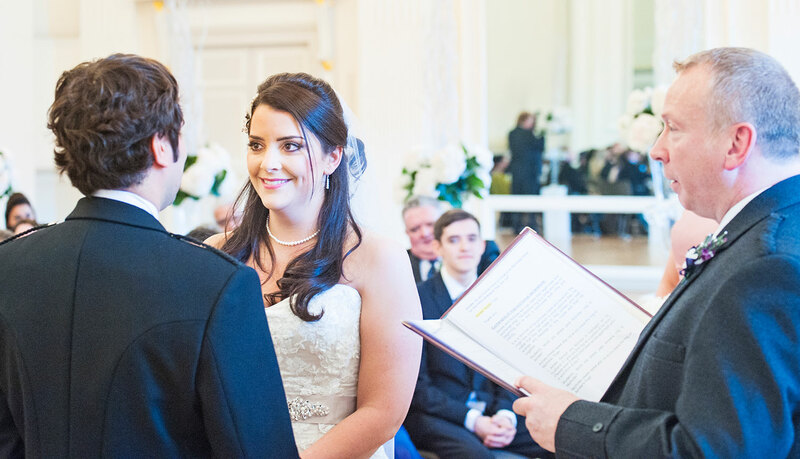 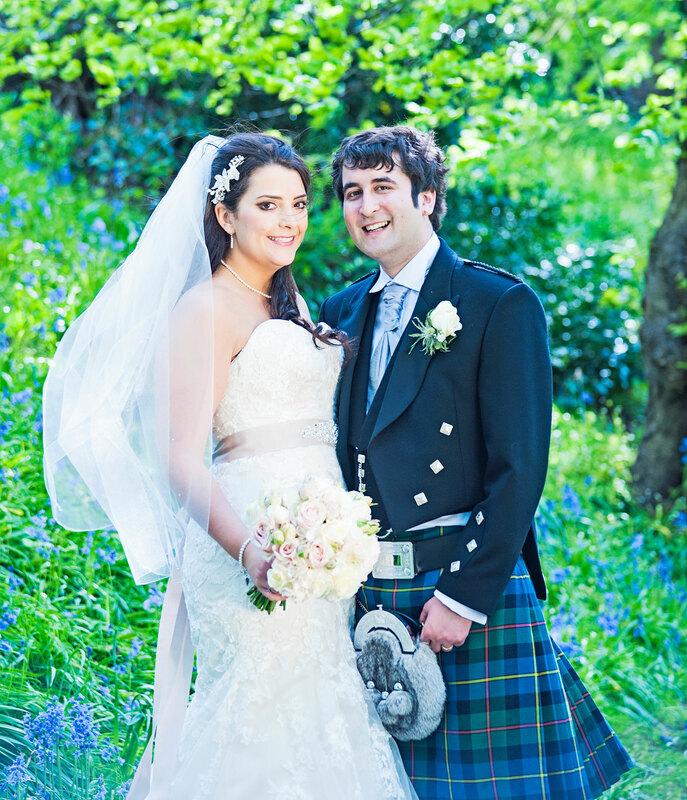 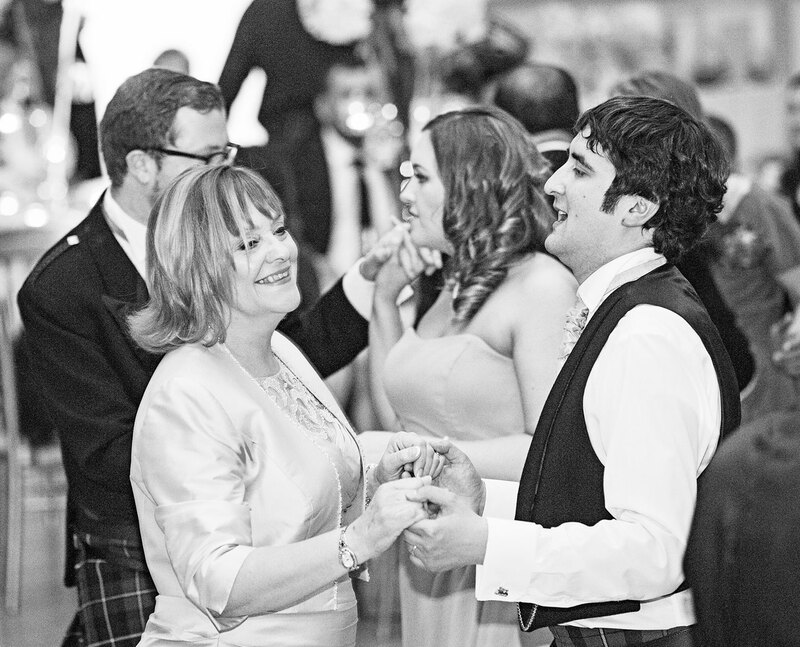 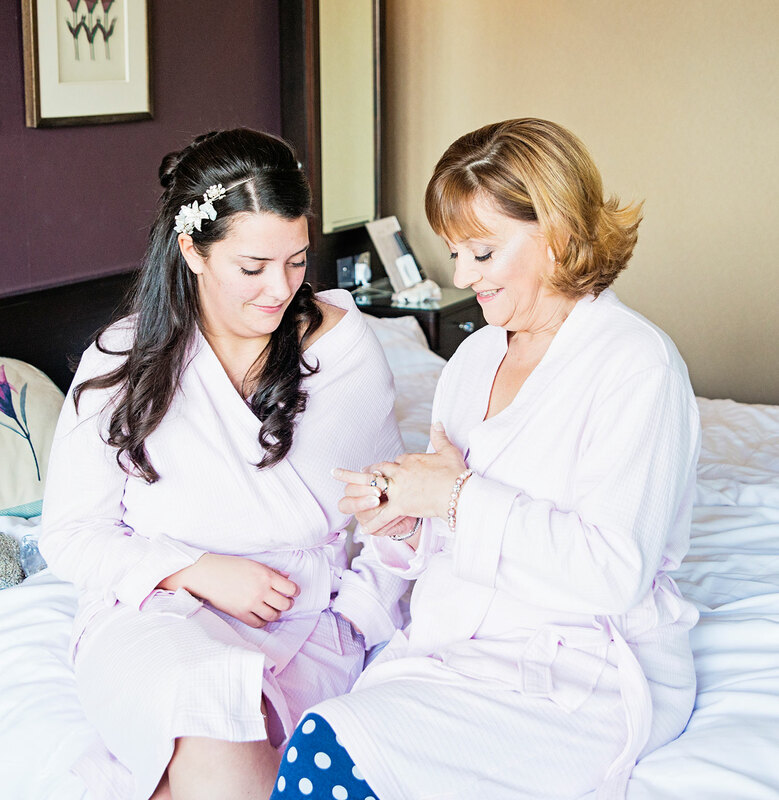 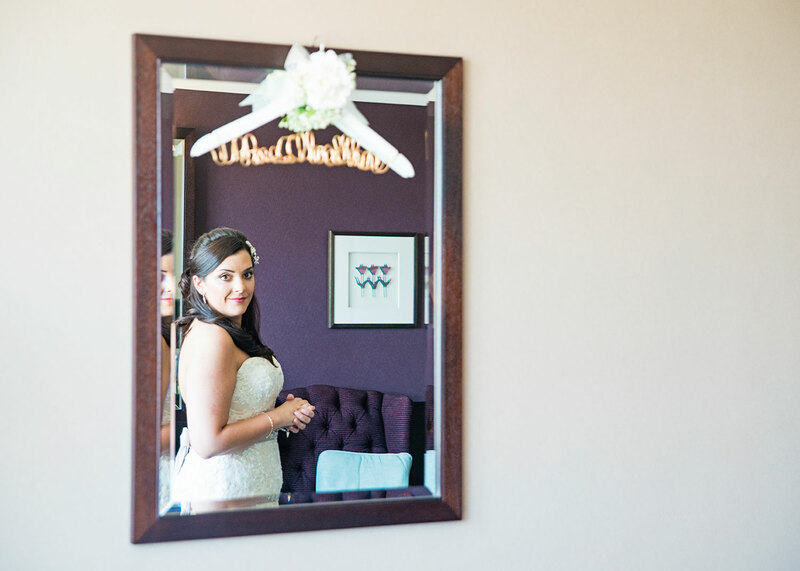 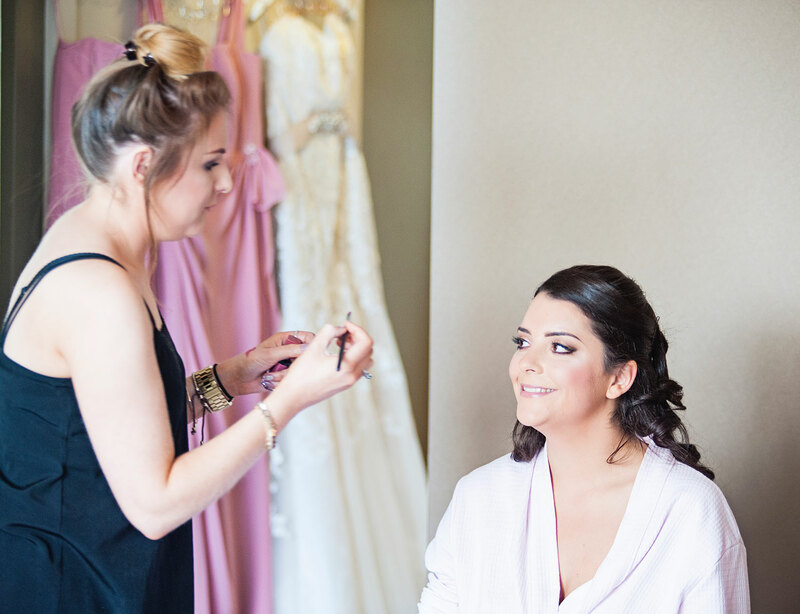 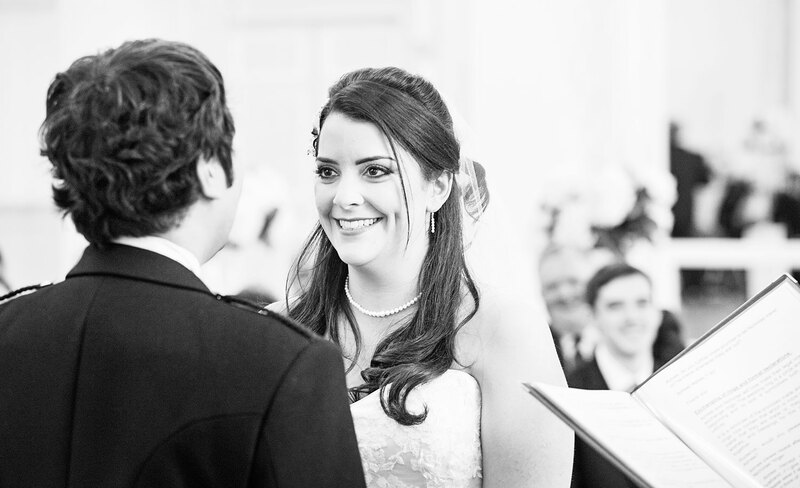 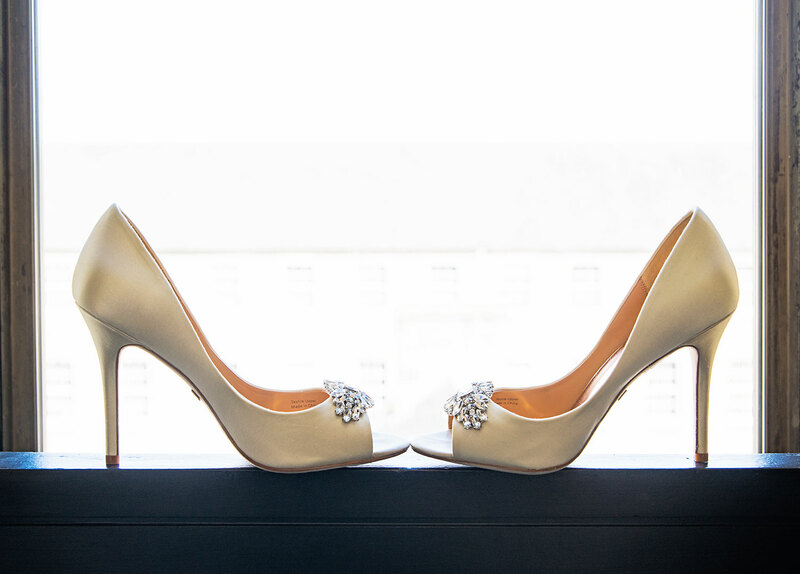 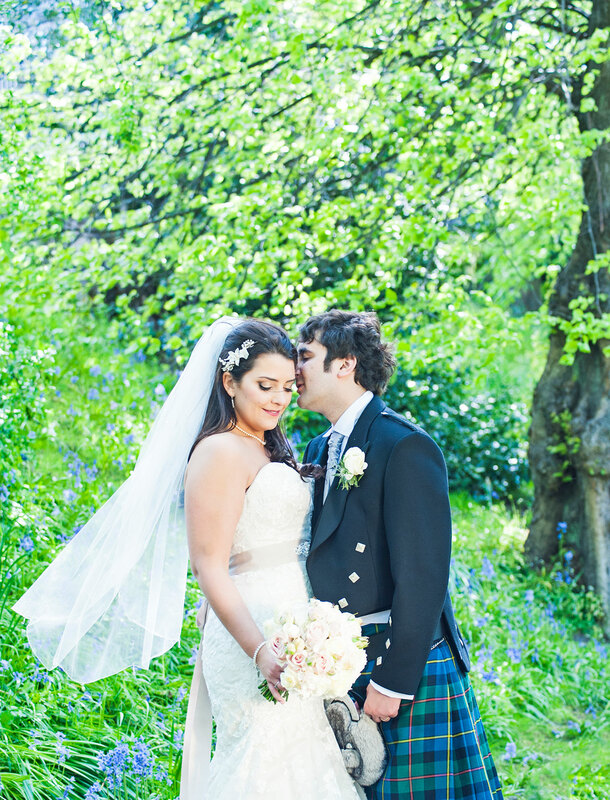 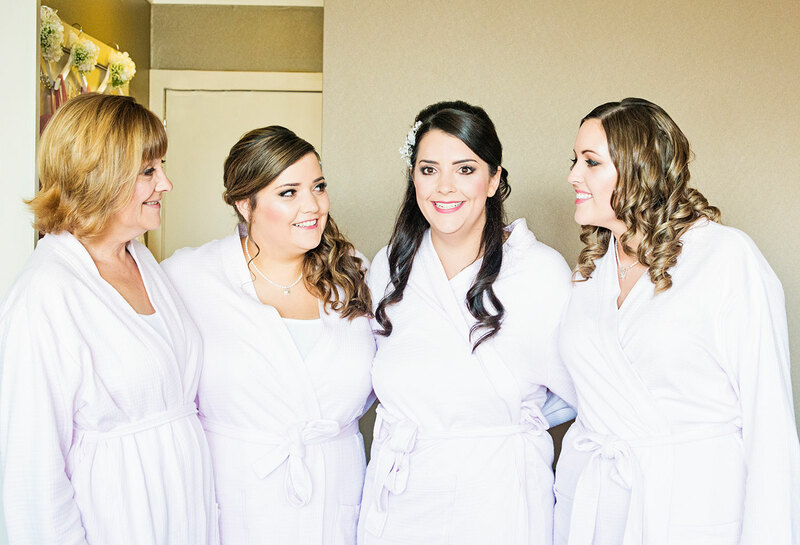 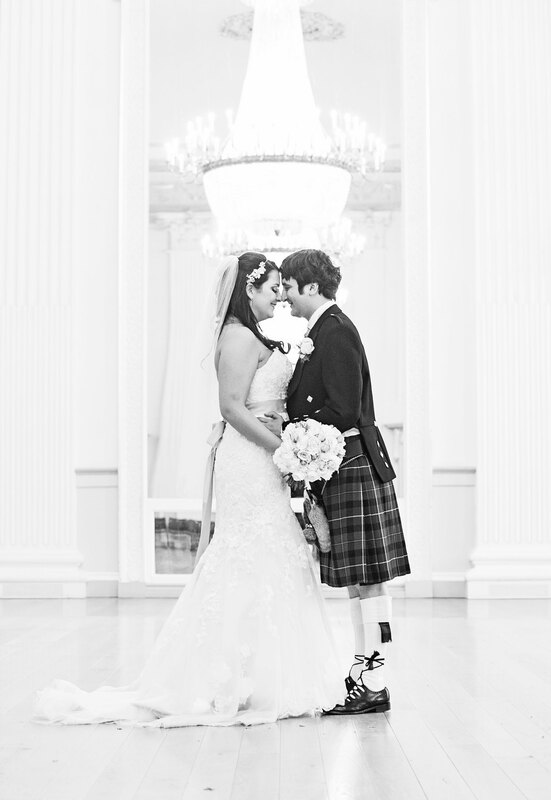 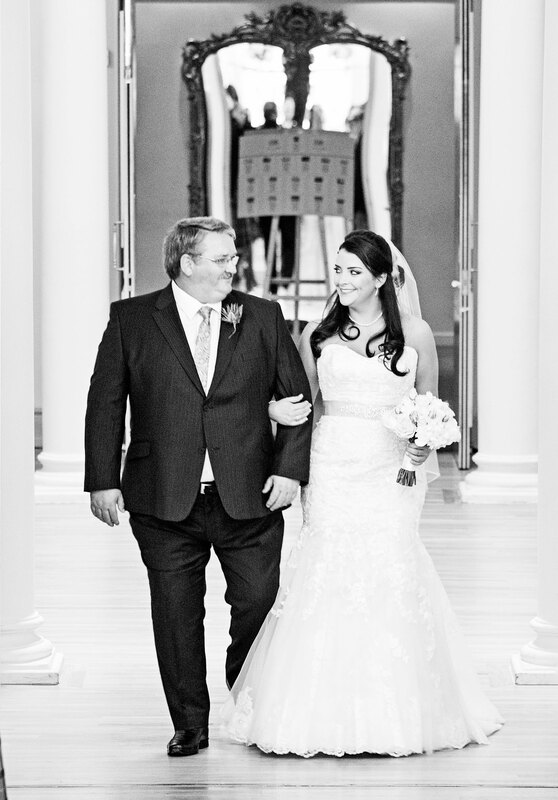 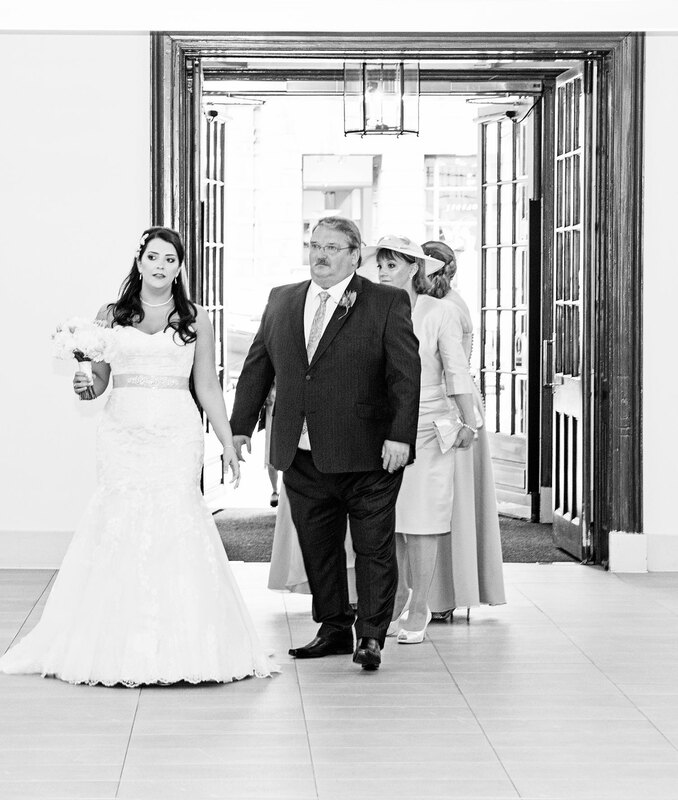 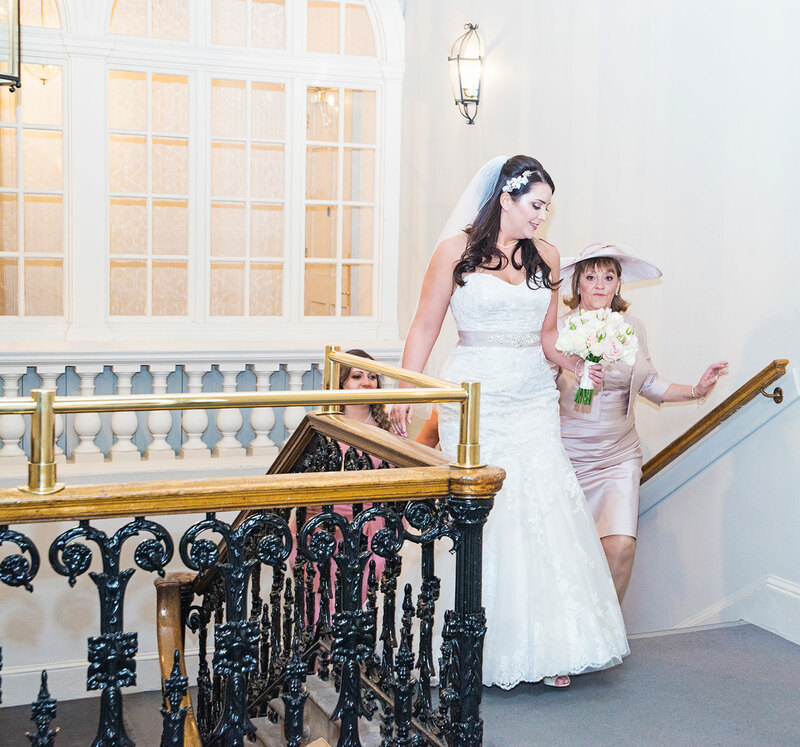 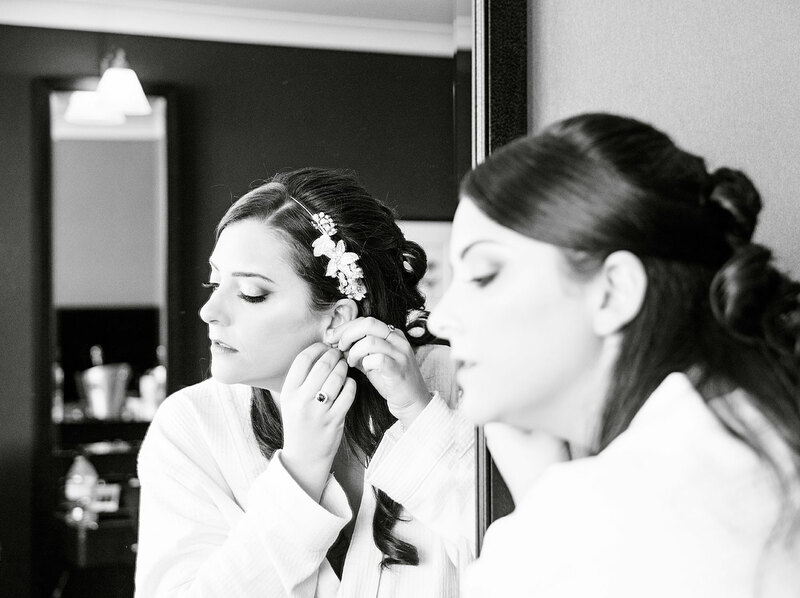 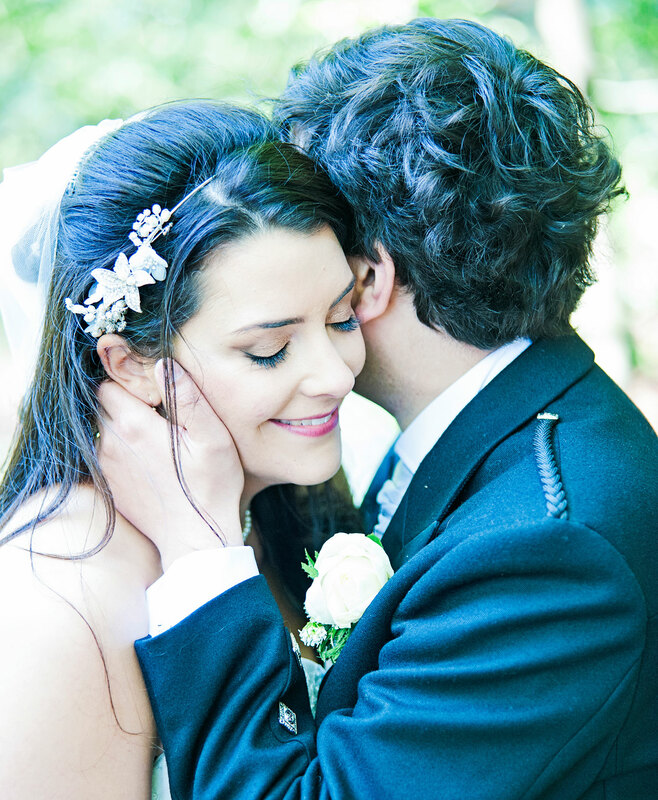 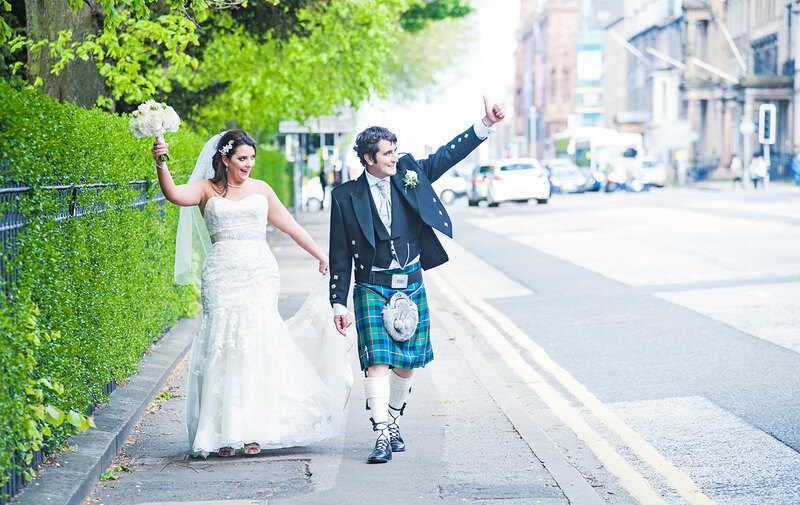 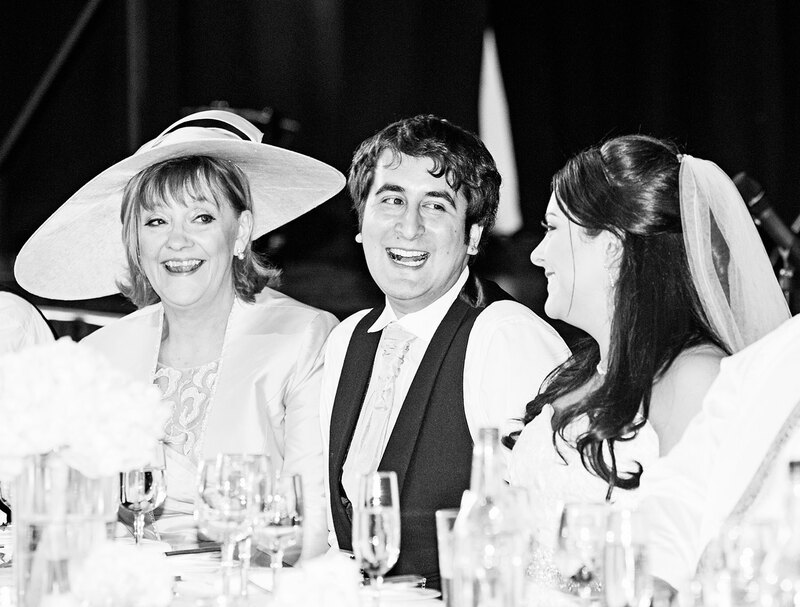 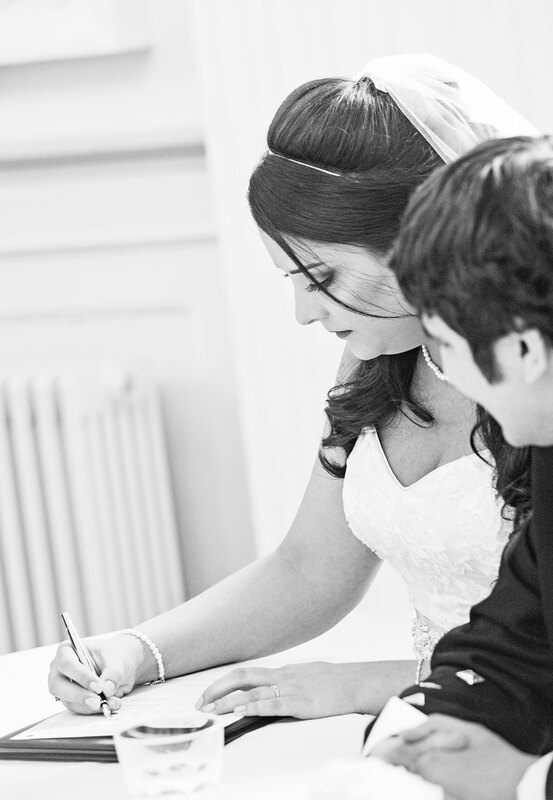 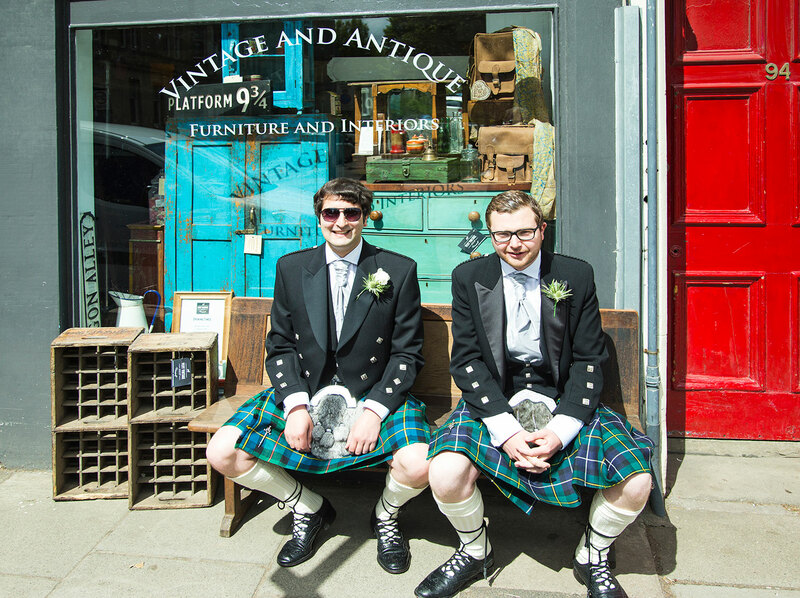 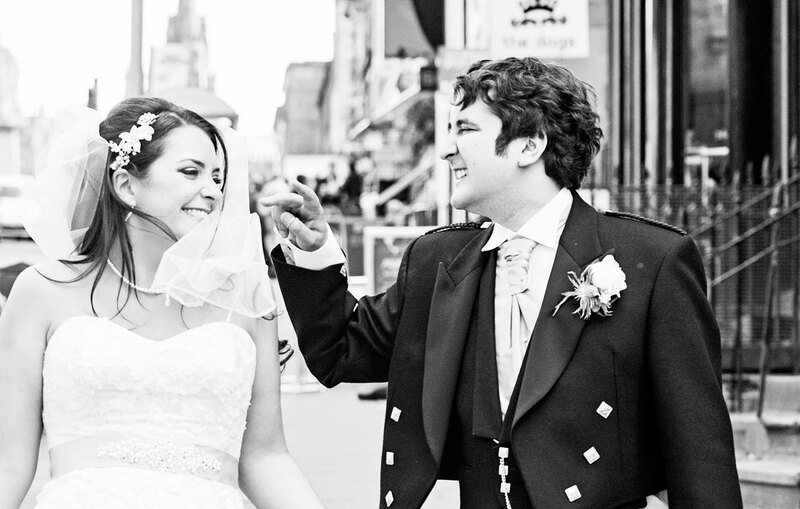 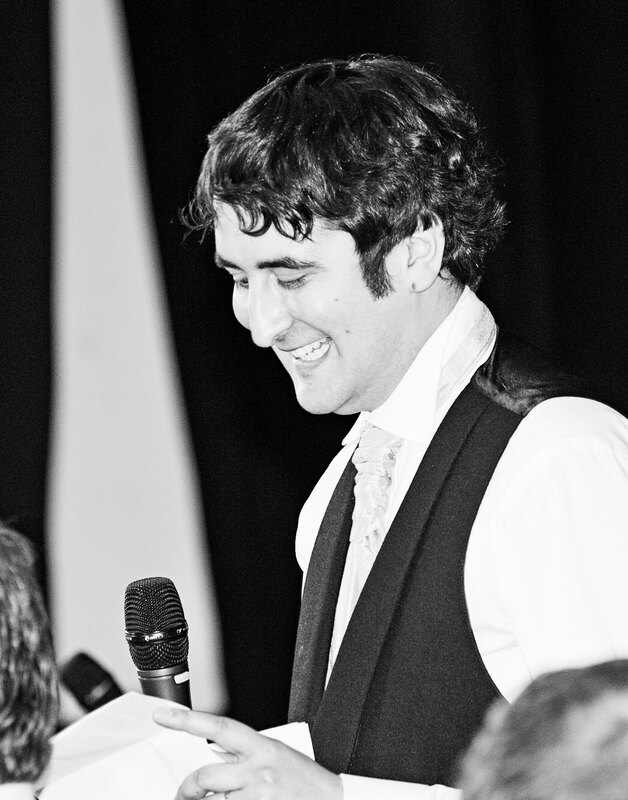 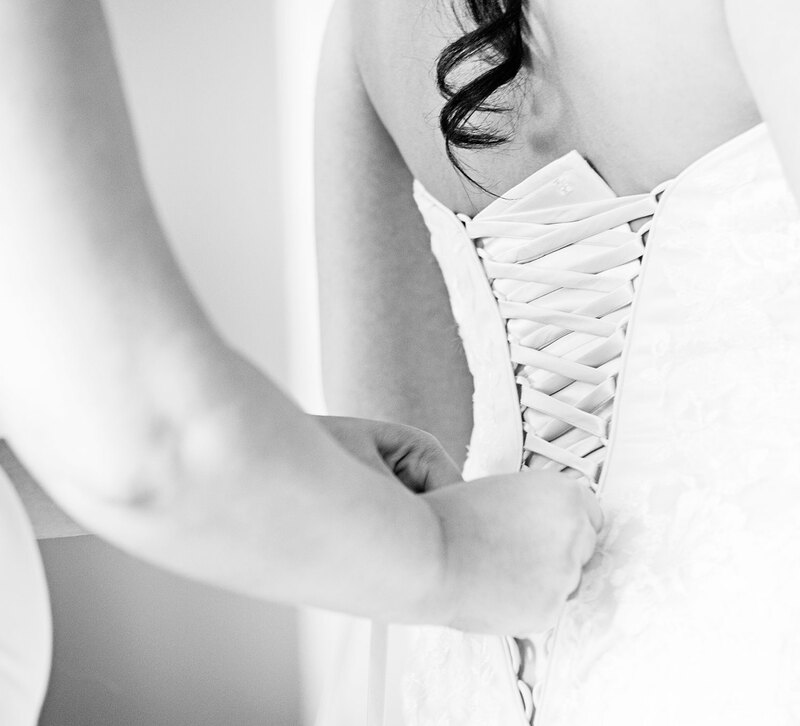 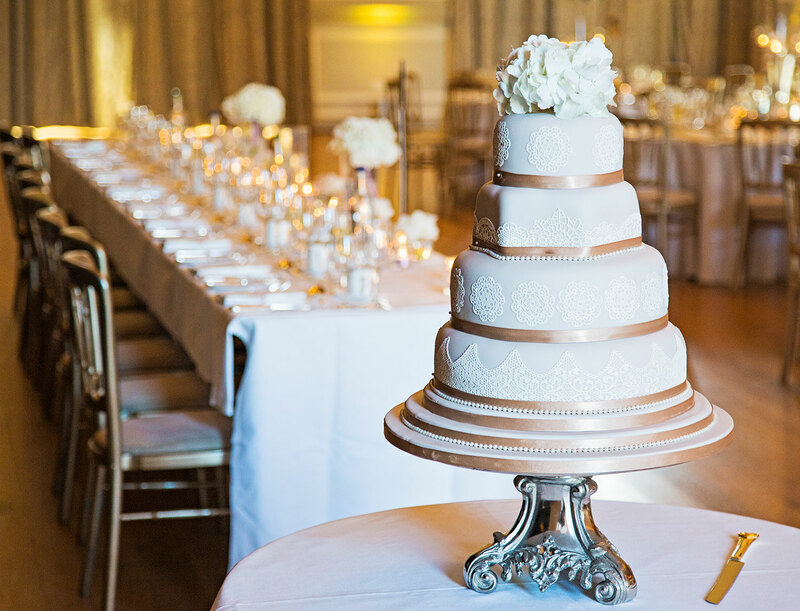 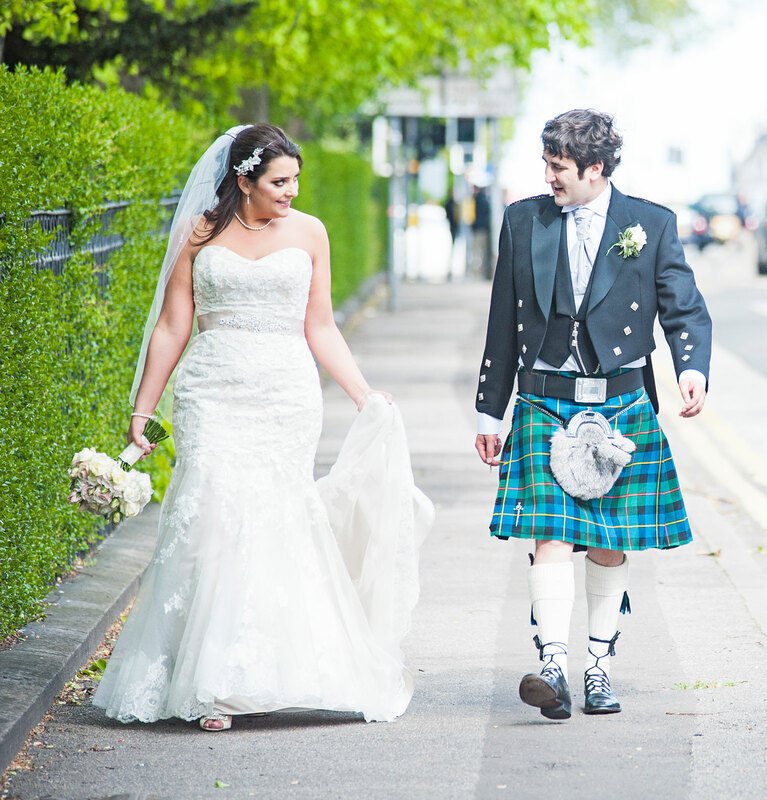 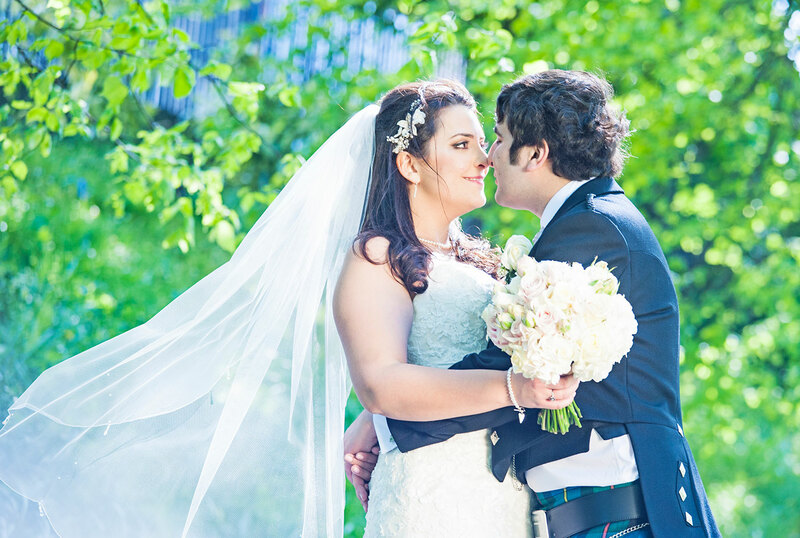 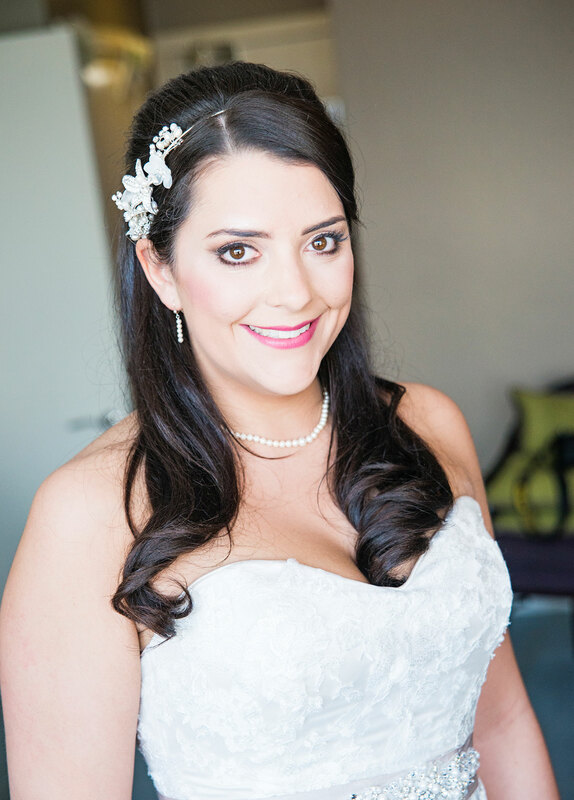 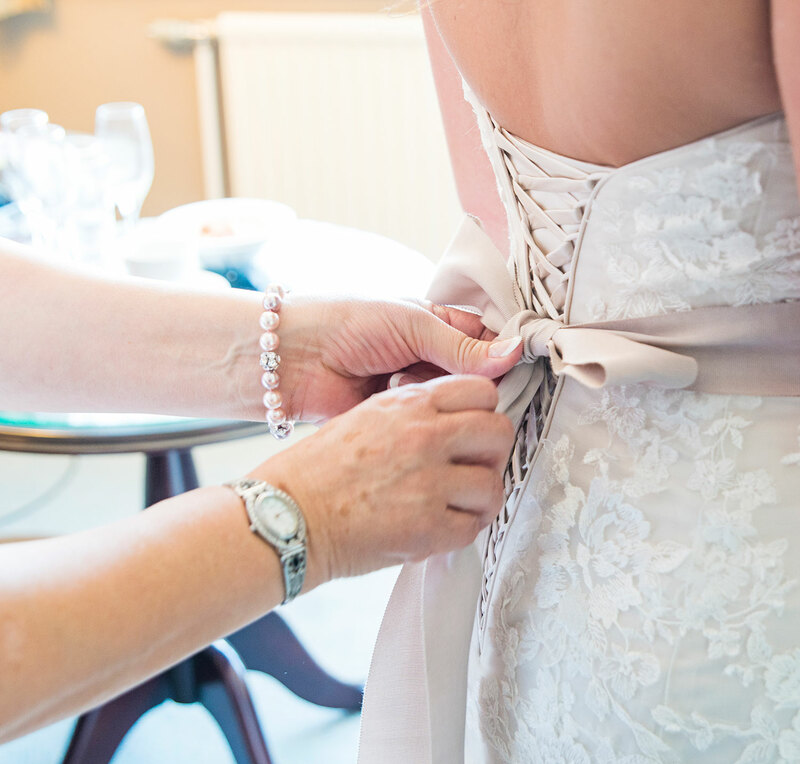 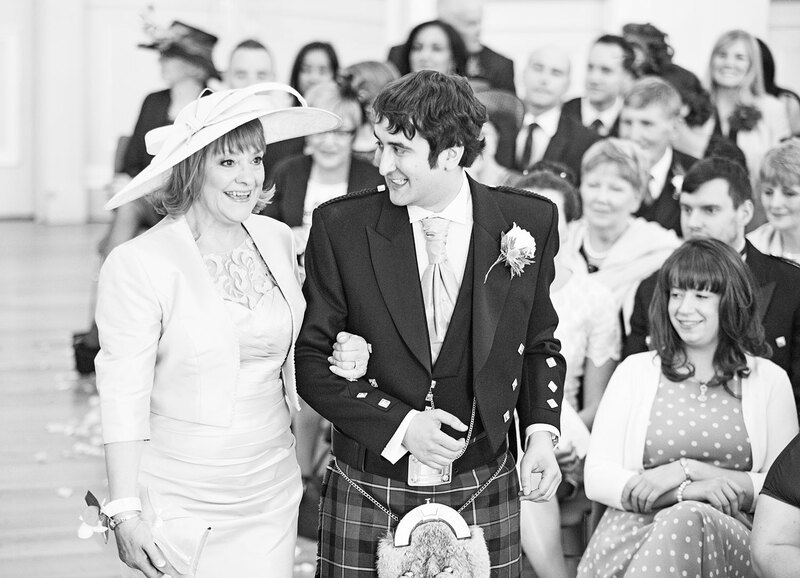 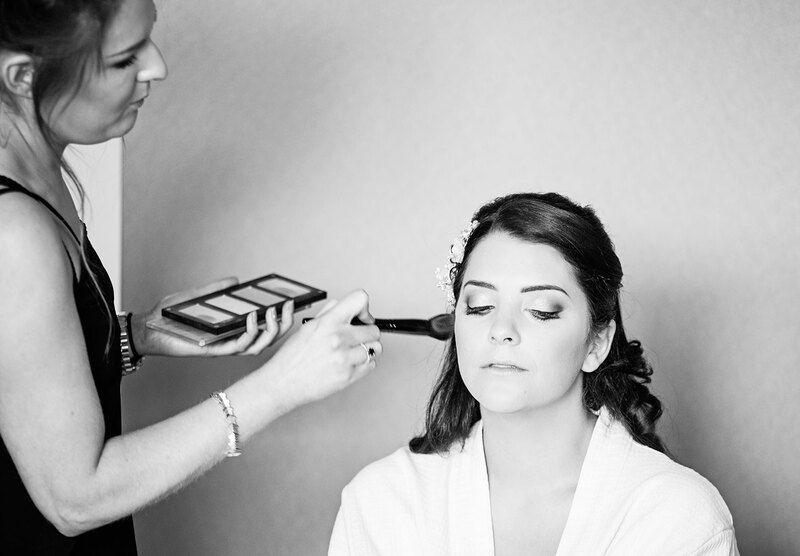 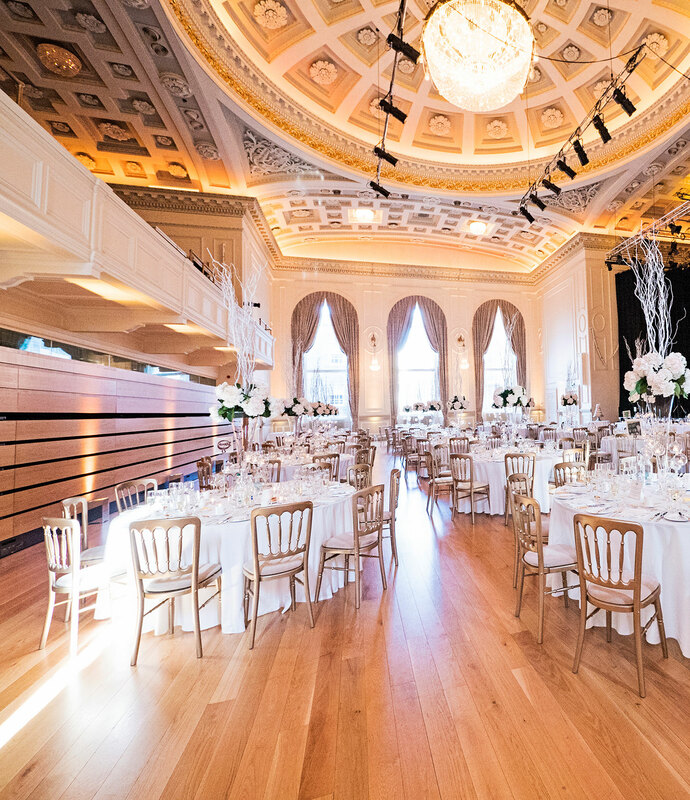 They celebrated their wedding in the Assembly Rooms in Edinburgh's George Street and had 160 guests attending. 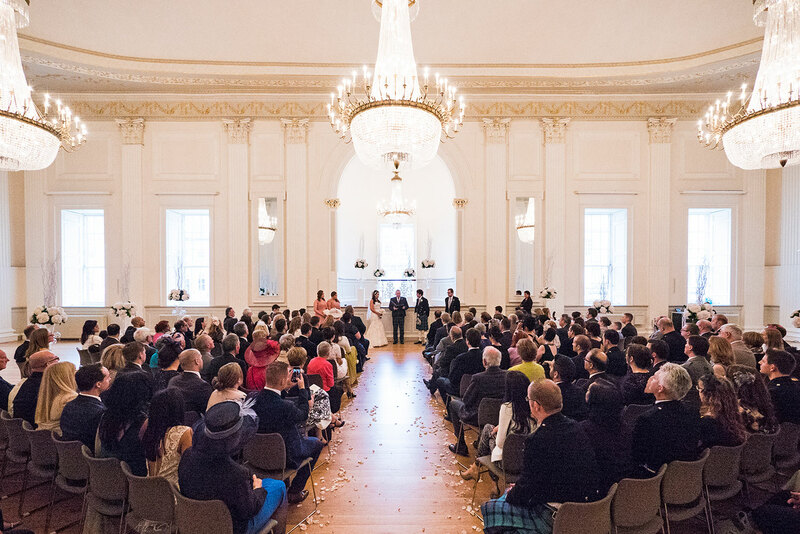 The main hall in the Assembly Rooms is a spectacular room and was just amazing for the ceremony. 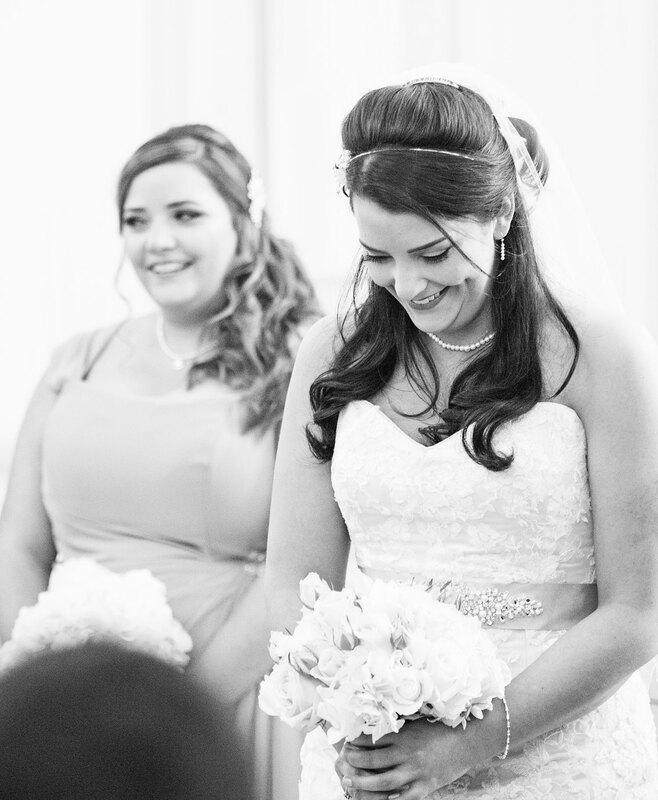 They had a humanist ceremony and during the ceremony the wedding rings were handed from guest to guest, so everyone could make a wish for the couple. 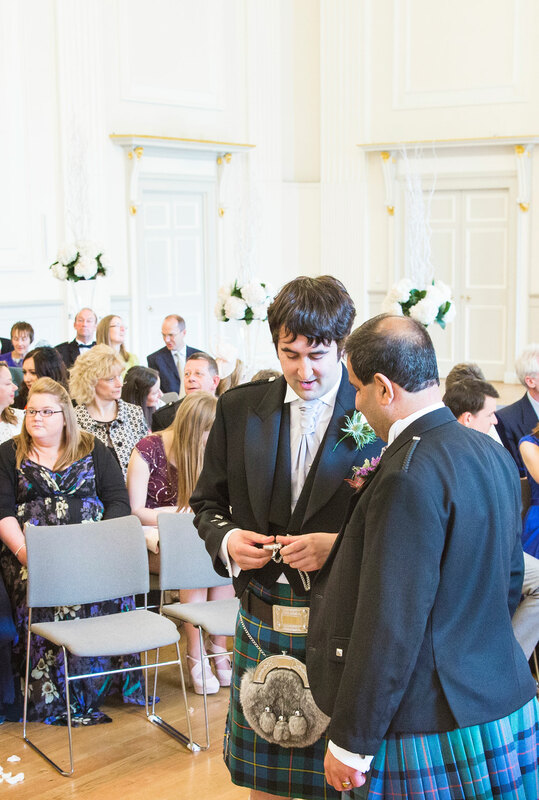 After the ceremony, we went to Queen Street Gardens for some photographs while the guests enjoyed themselves in the Assembly Rooms. 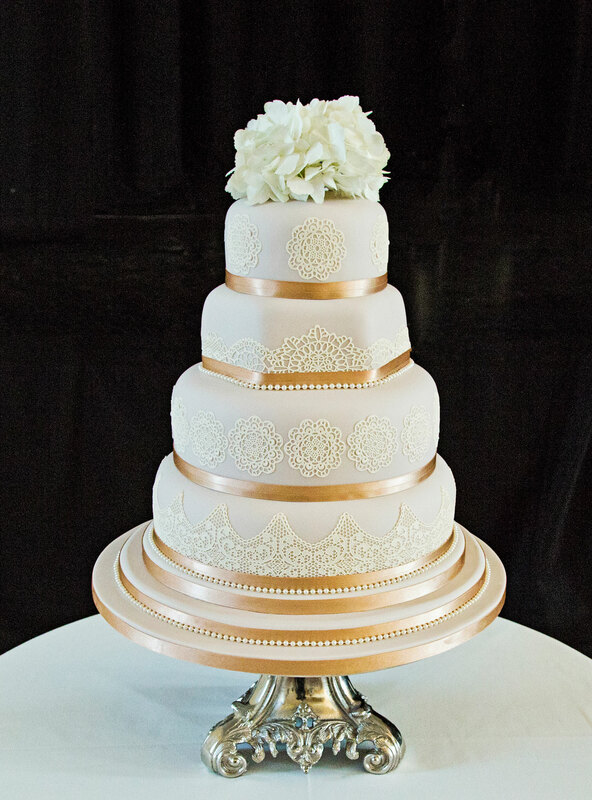 I absolutely adore their wedding cake which has a lace covering. 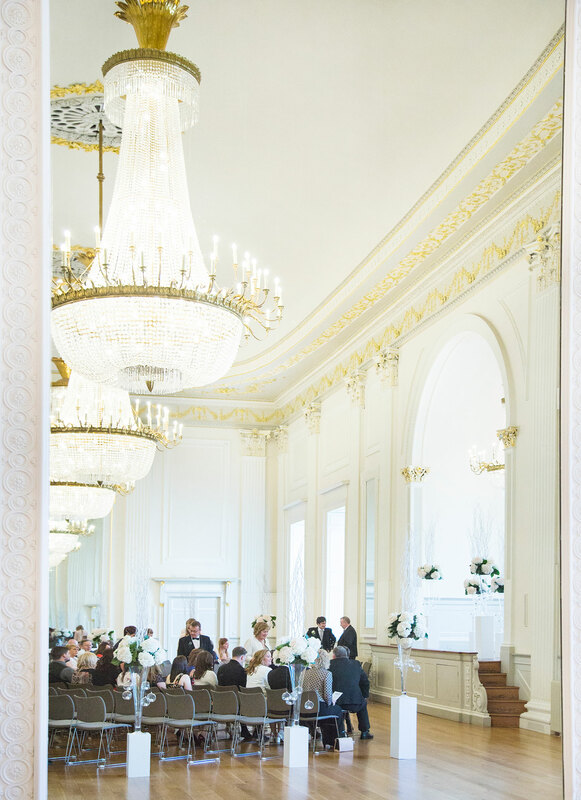 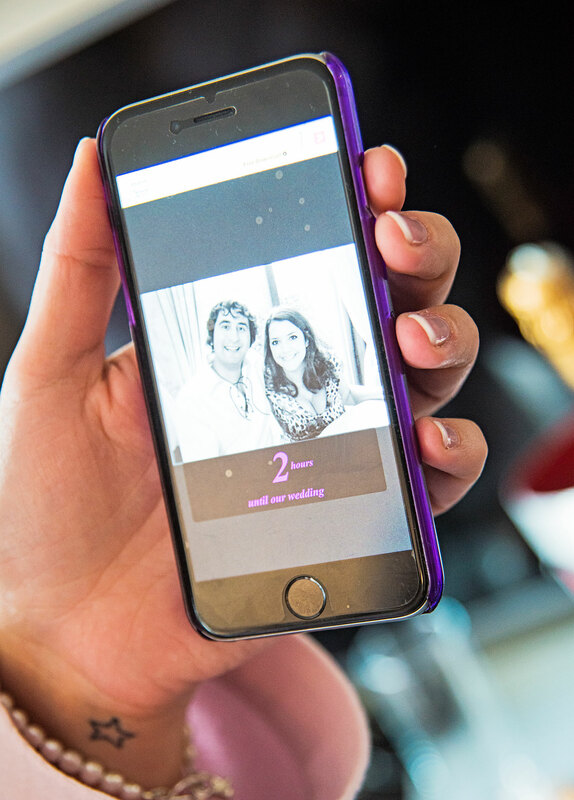 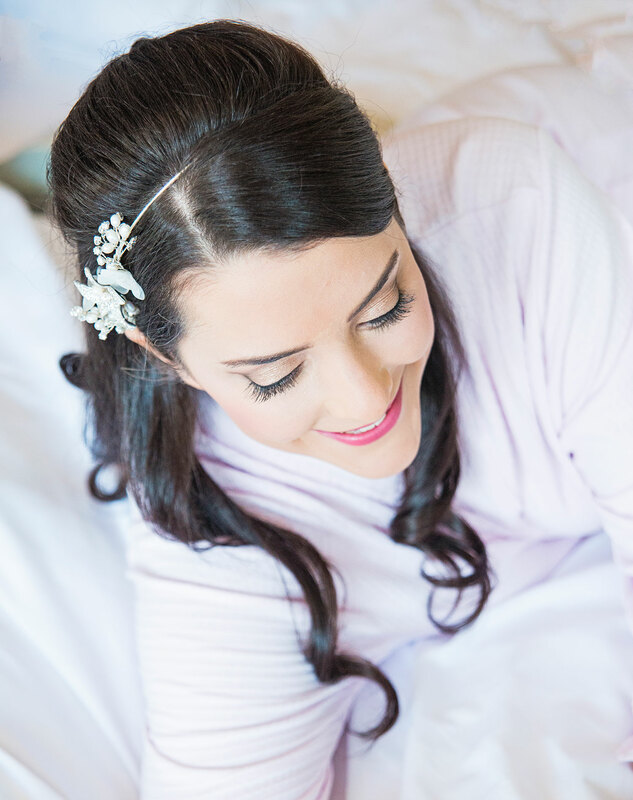 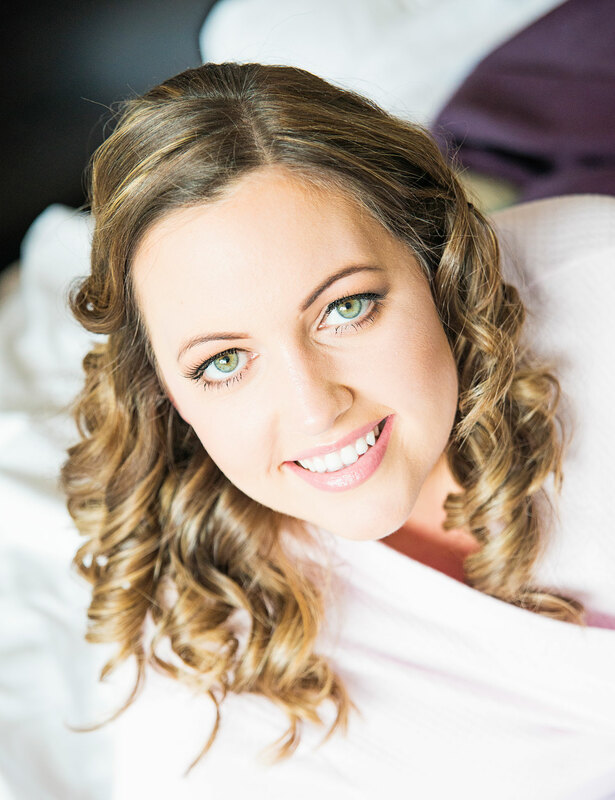 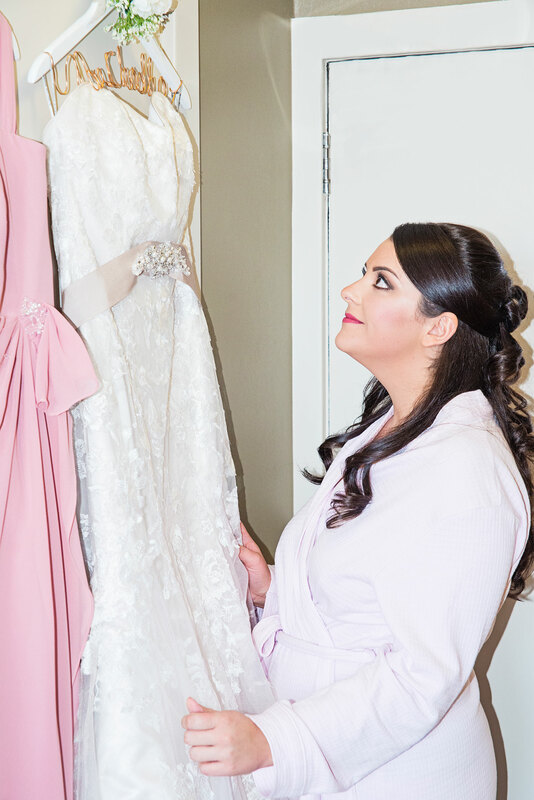 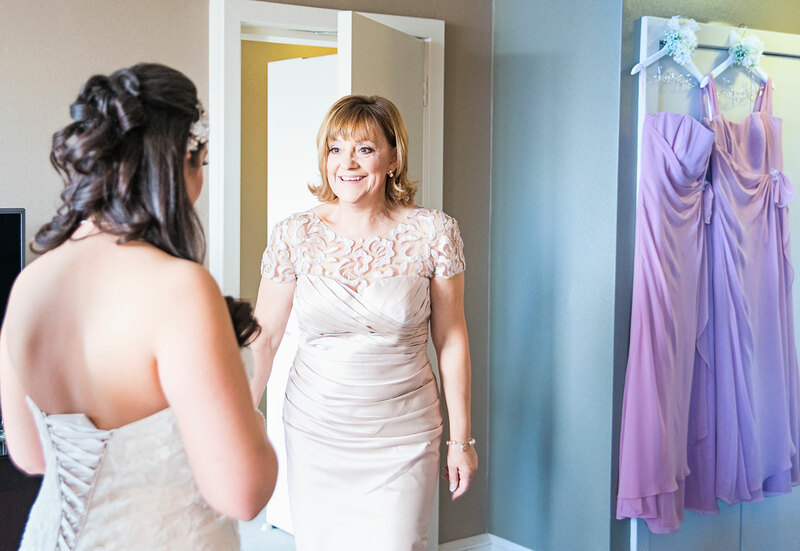 Have a look through their photographs - all day coverage, bridal and groom's preparations right through until the dancing in the evening. 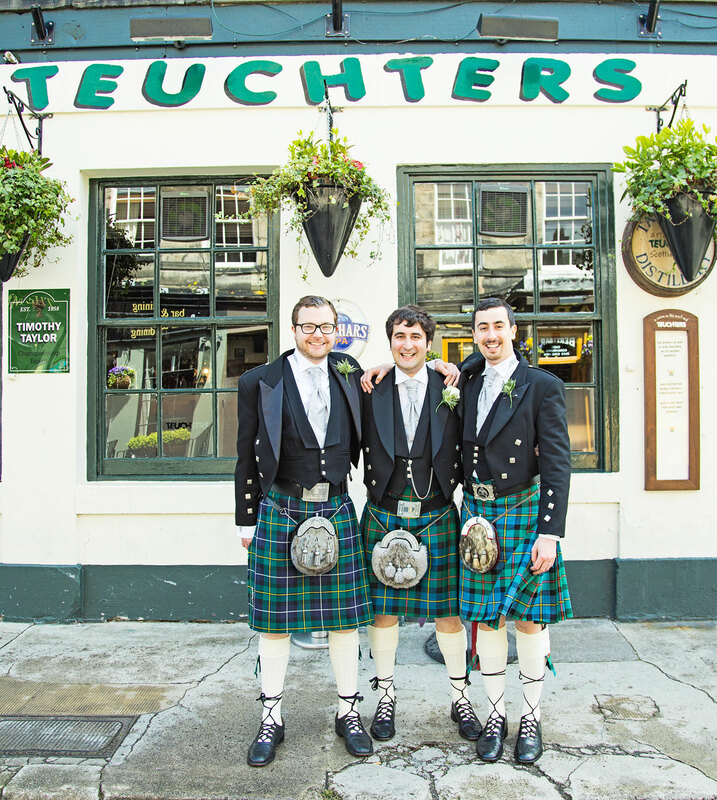 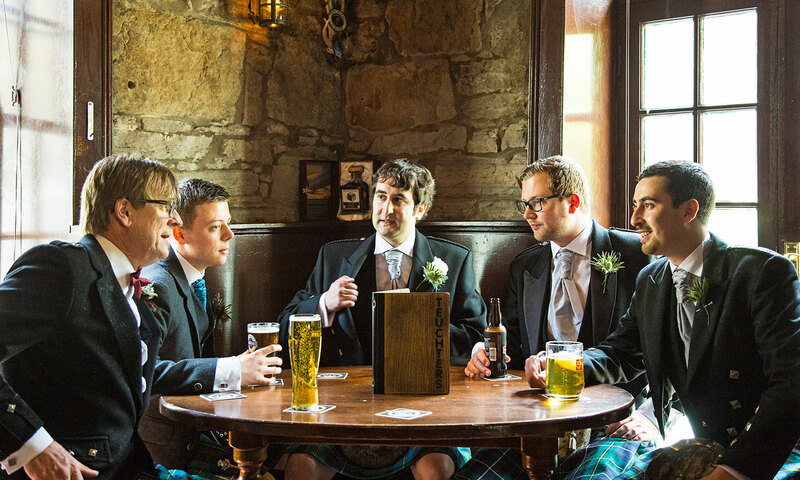 The groom and the ushers at the Teuchters bar in Edinburgh for a pint before the ceremony. 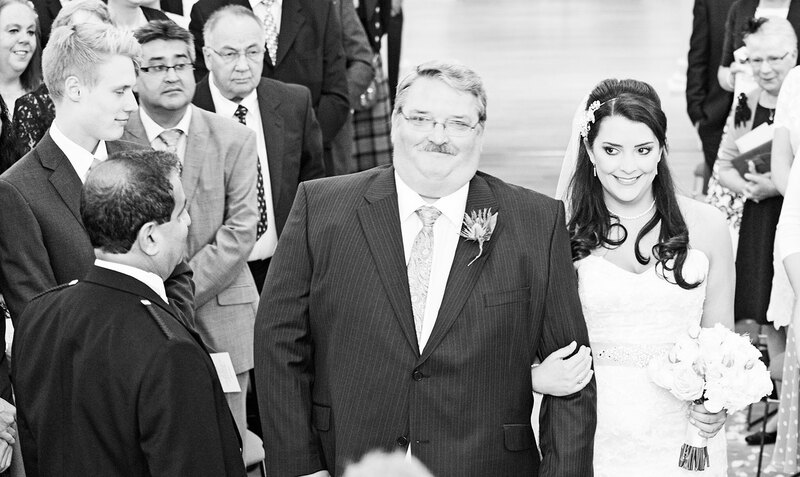 I love taking a photo of the mobile home screen, it always tells a story. 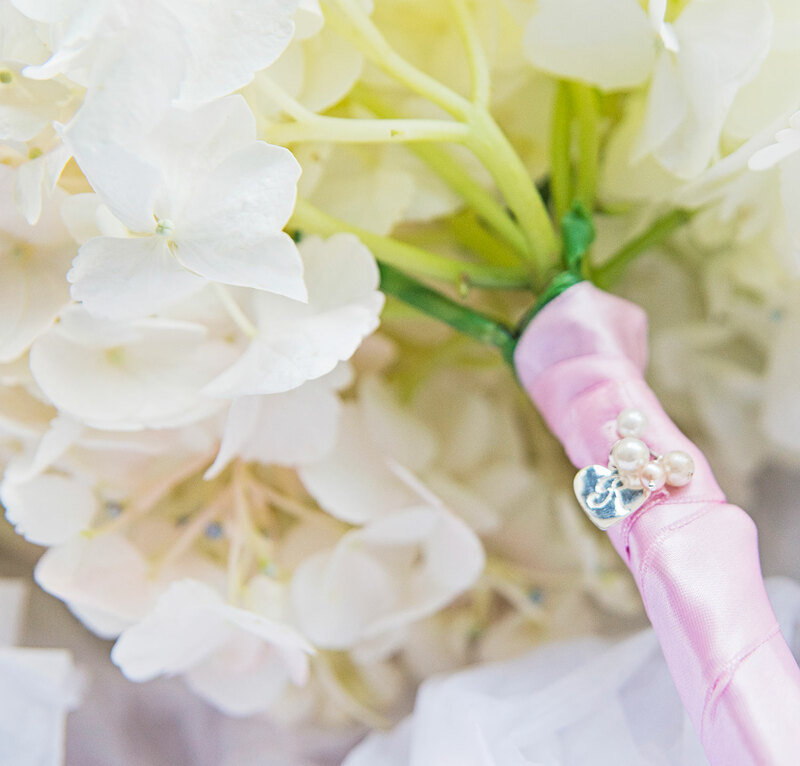 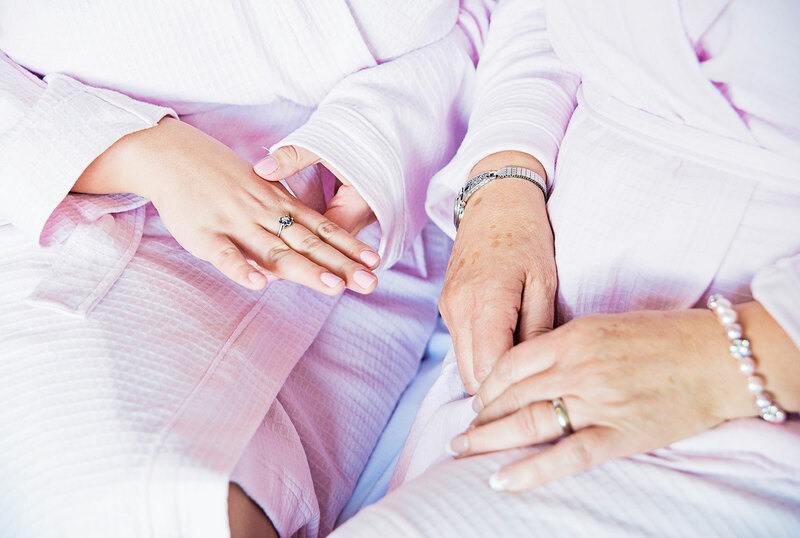 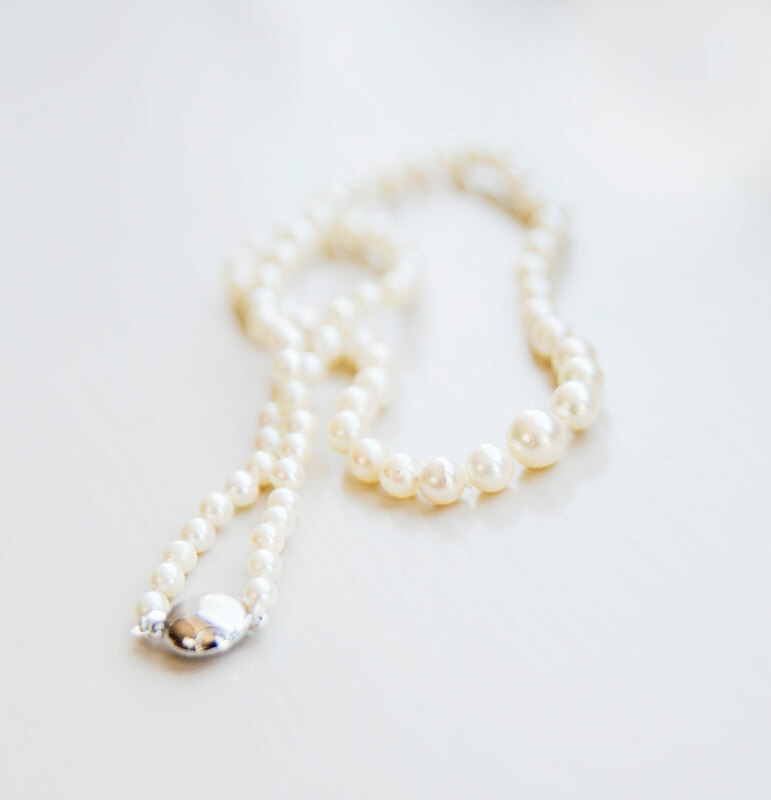 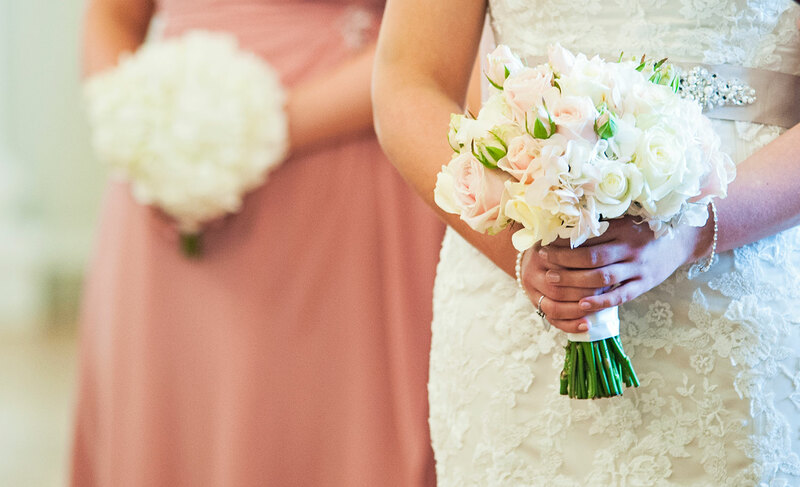 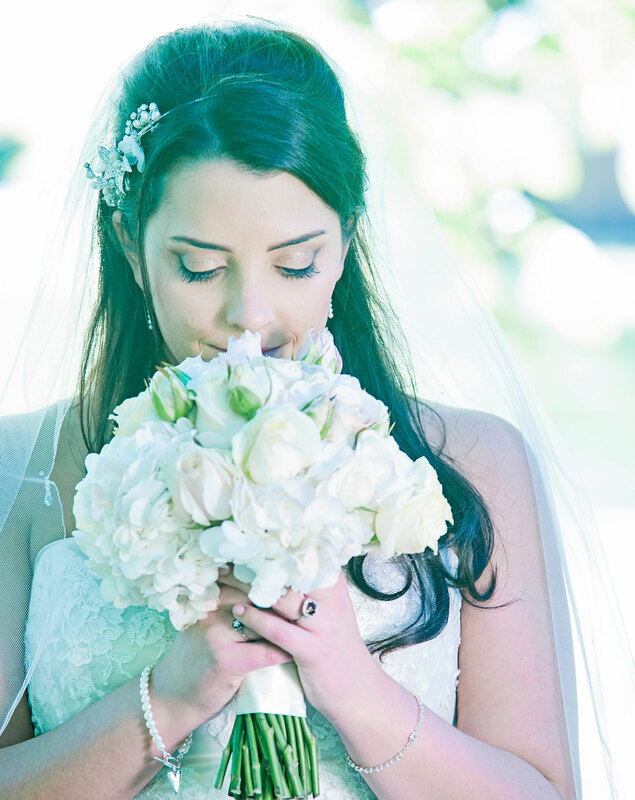 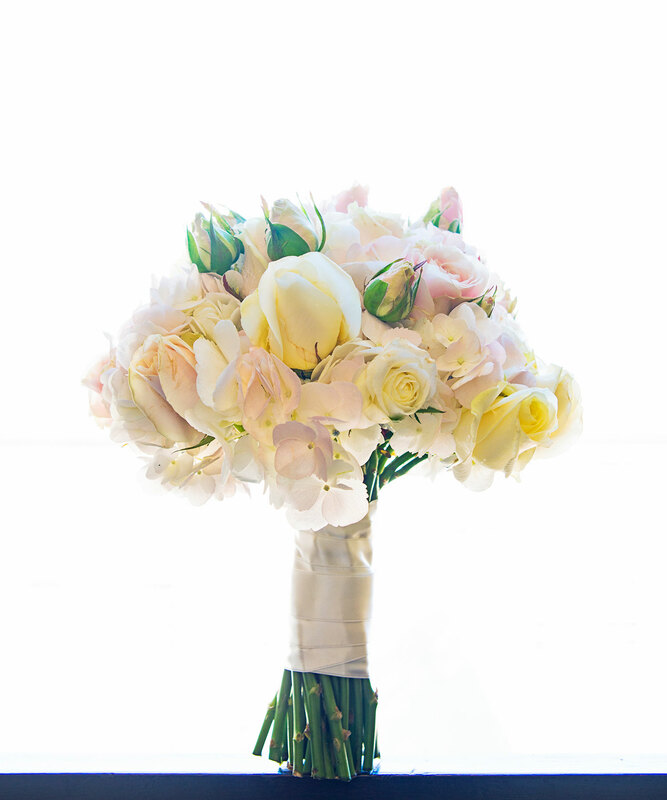 Remembering a special relative with a charm on the wedding bouquet. 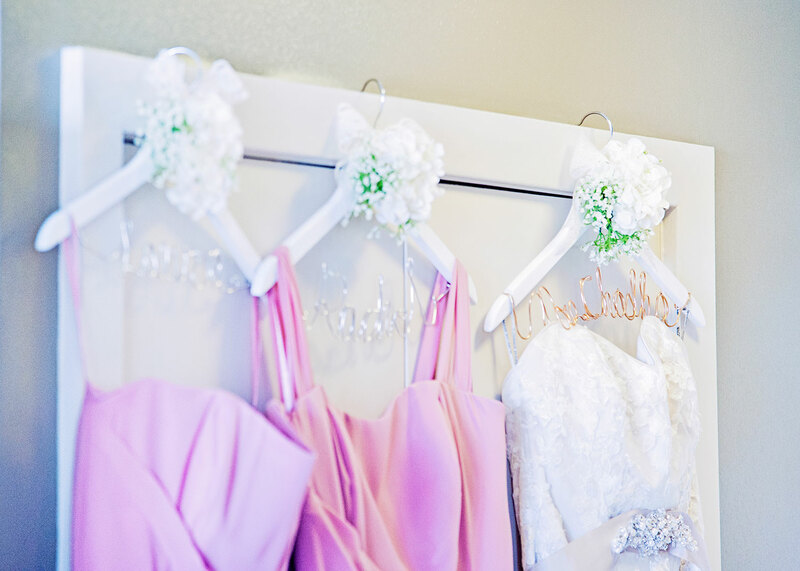 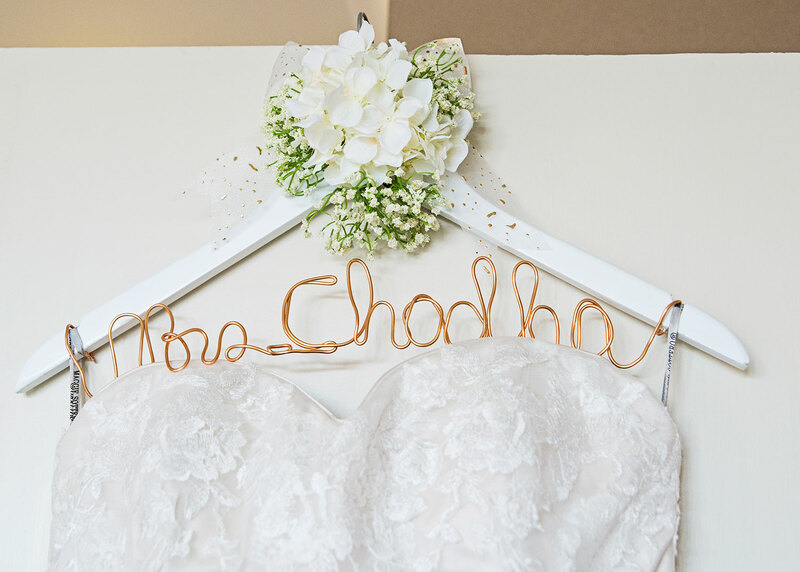 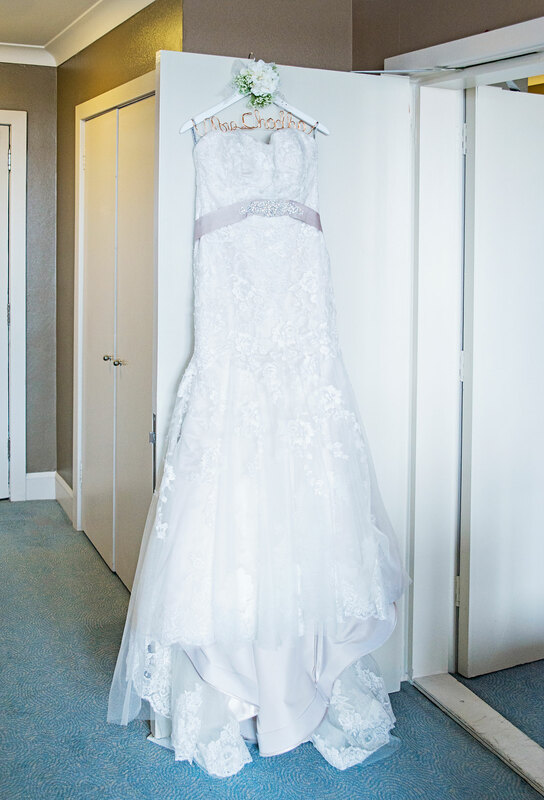 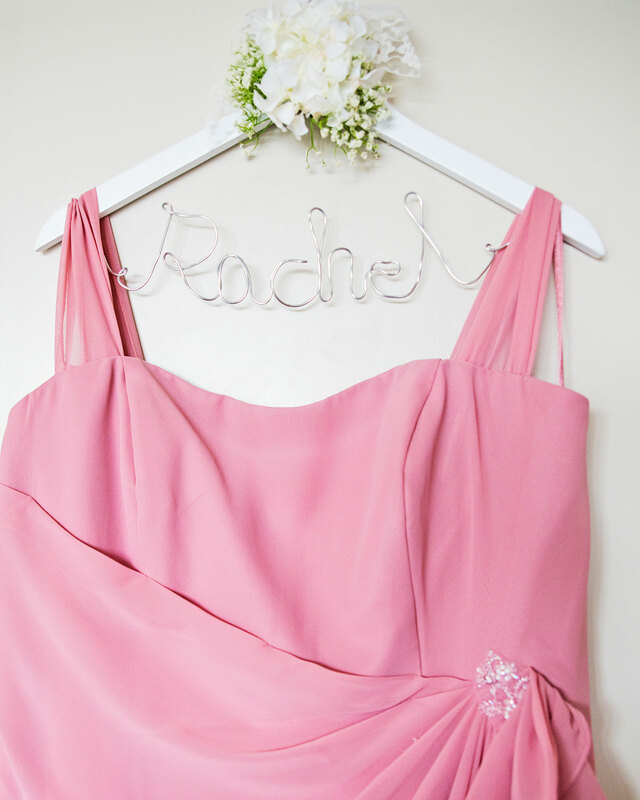 All the coat hangers had the bridesmaids' and the bride's names on them. 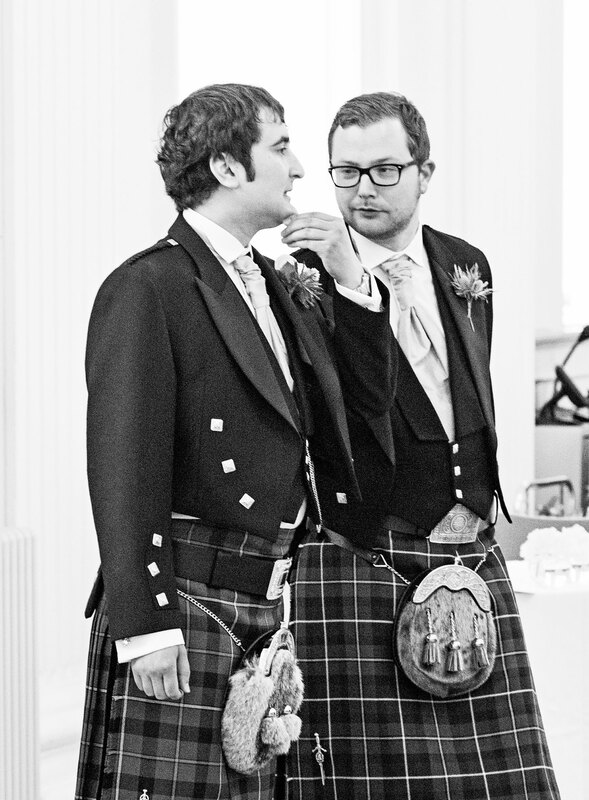 Checking the time, just before the ceremony. 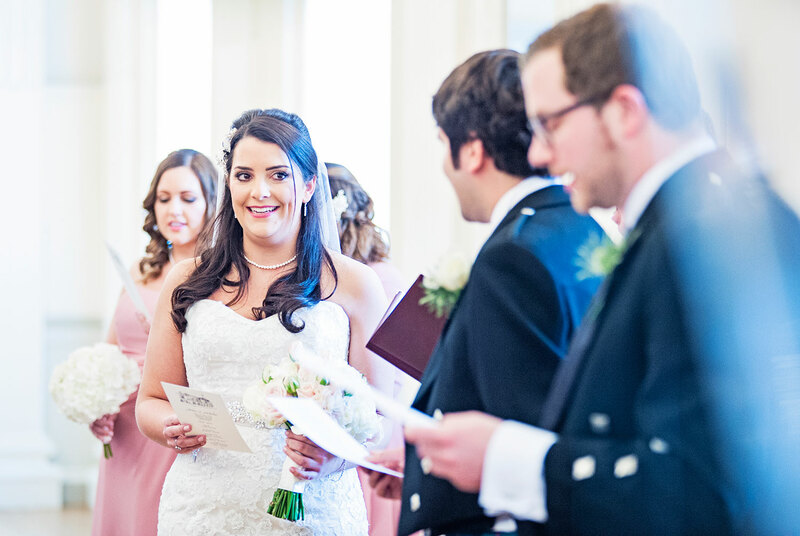 Aimee couldn't stop giggling during the ceremony. 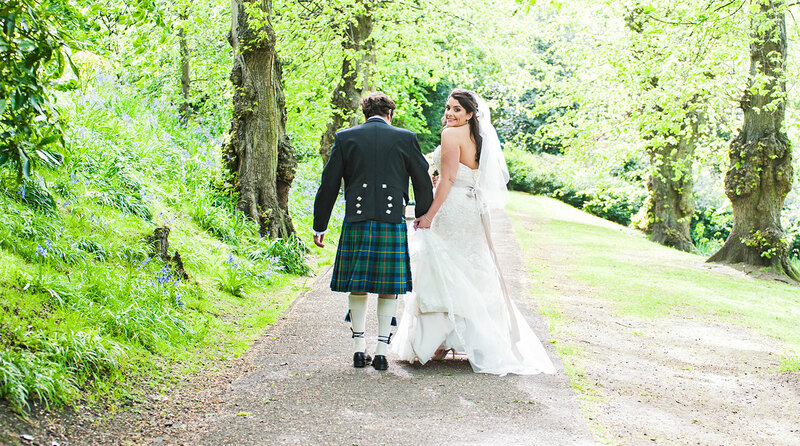 Walking to Queen Street Gardens. 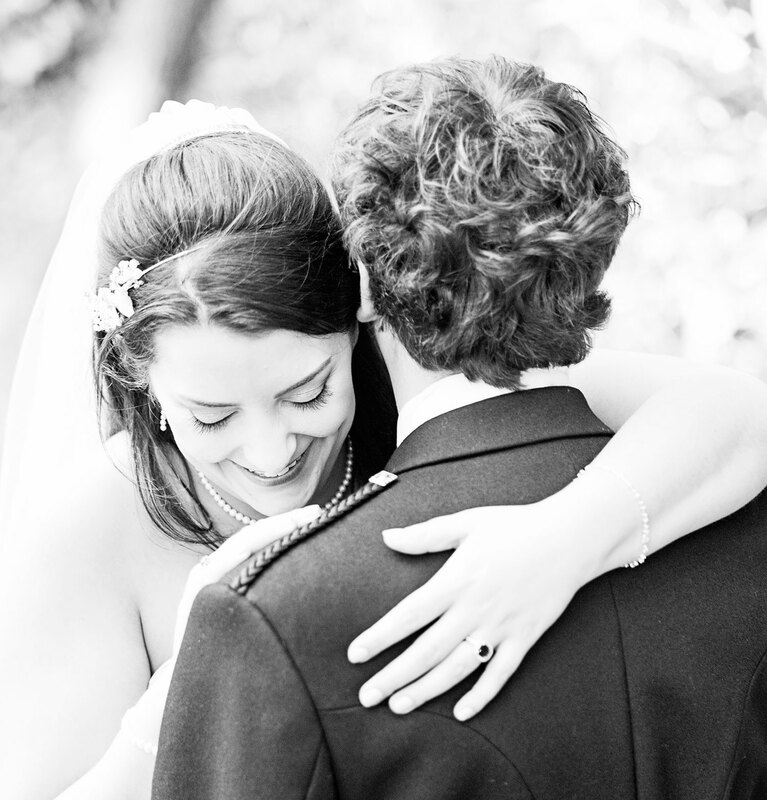 Lots of cars making a noise.